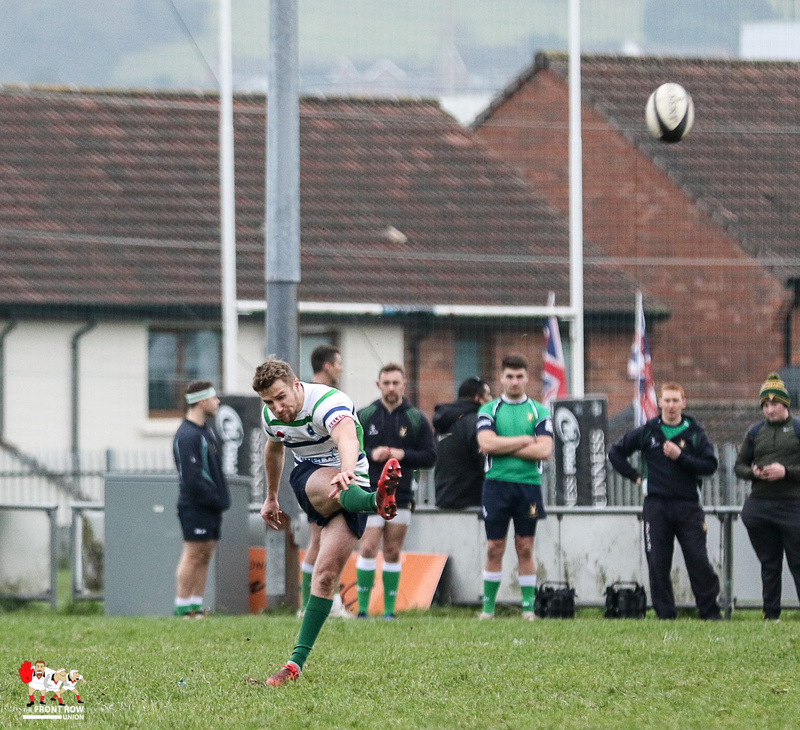 Saturday 24th November 2018. 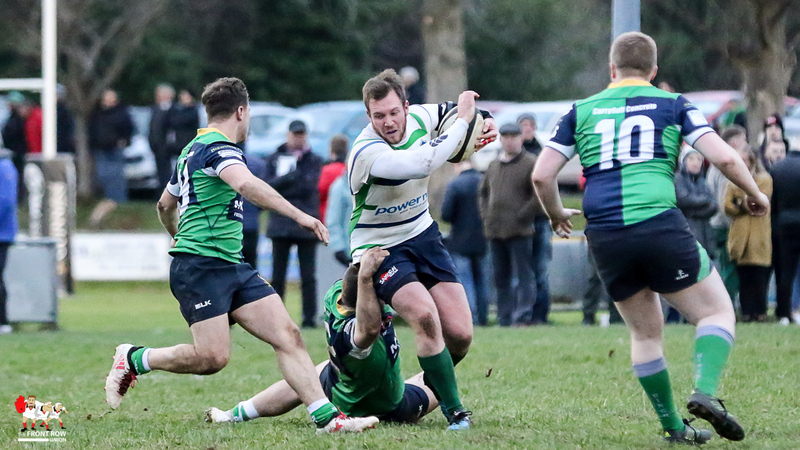 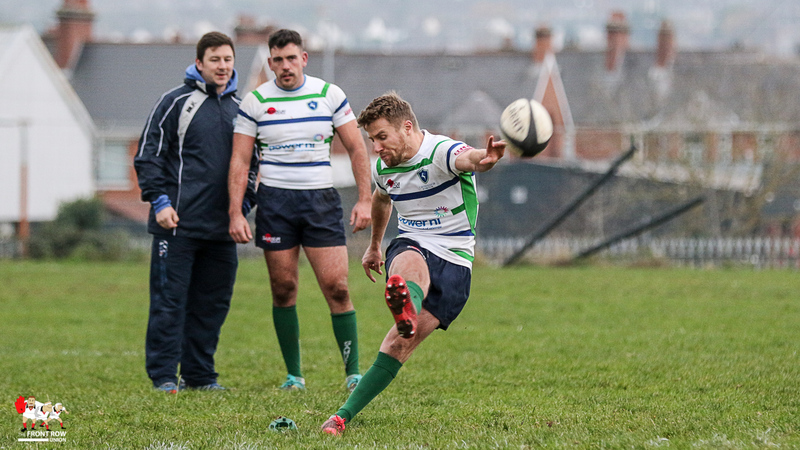 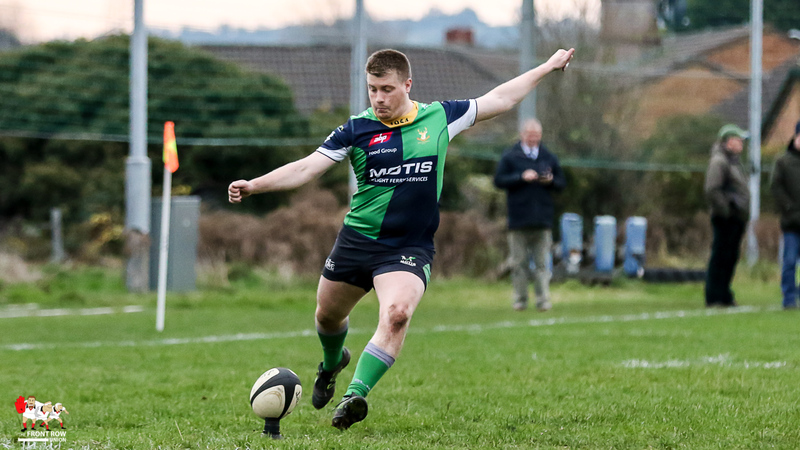 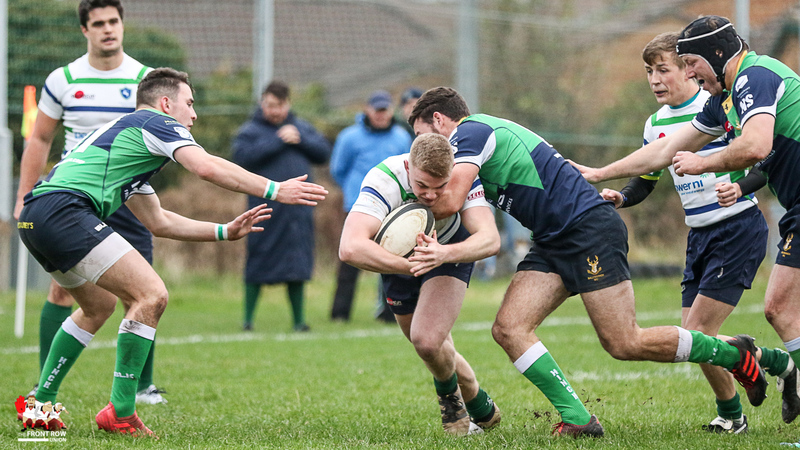 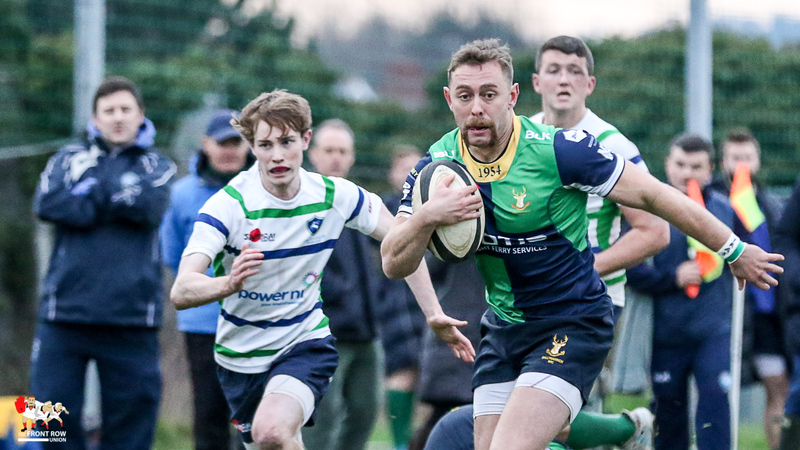 Grovenor and Ballynahinch II fought out a highly entertaining Junior Cup Semi Final tie at Gibson Park with Hinch coming out on top 26 - 30. 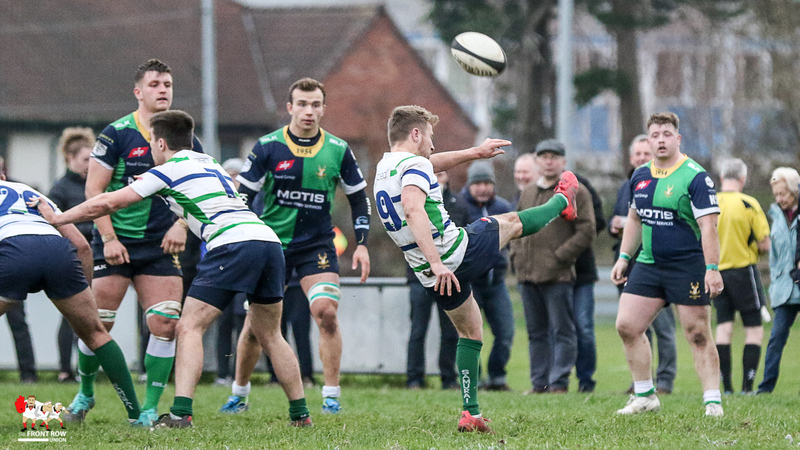 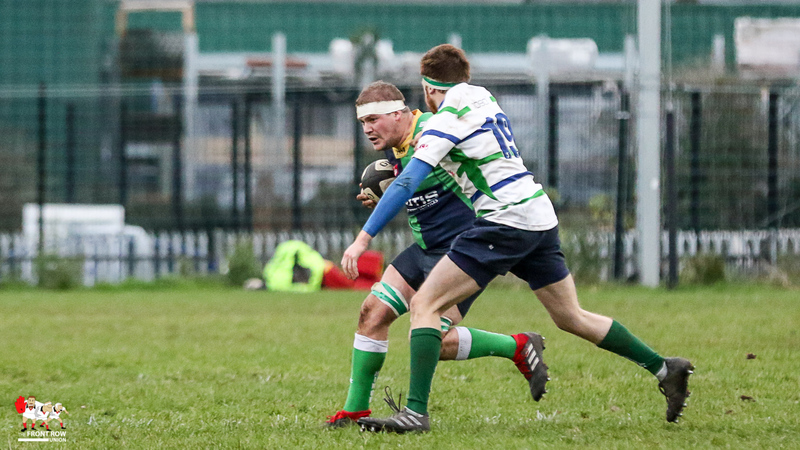 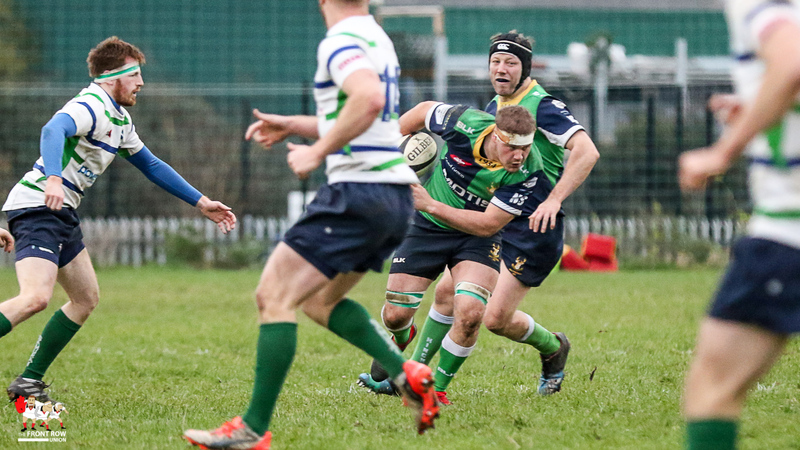 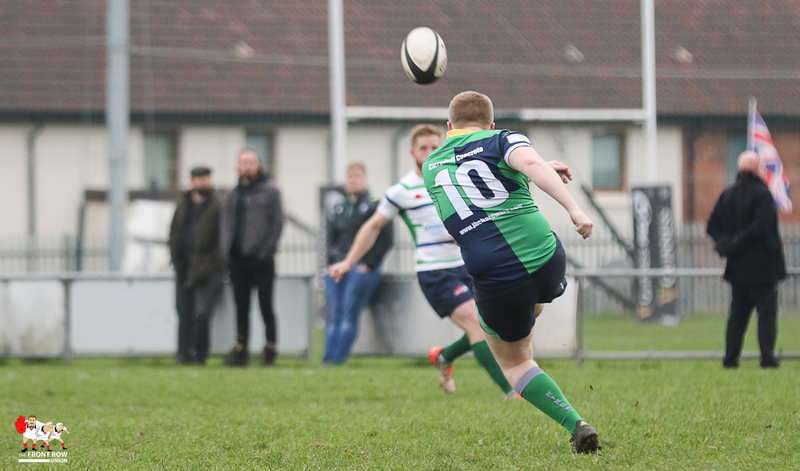 Grosvenor entertained Ballynahinch II in the semi final of the Millar McCall Wylie Junior Cup at Gibson Park on Saturday afternoon. 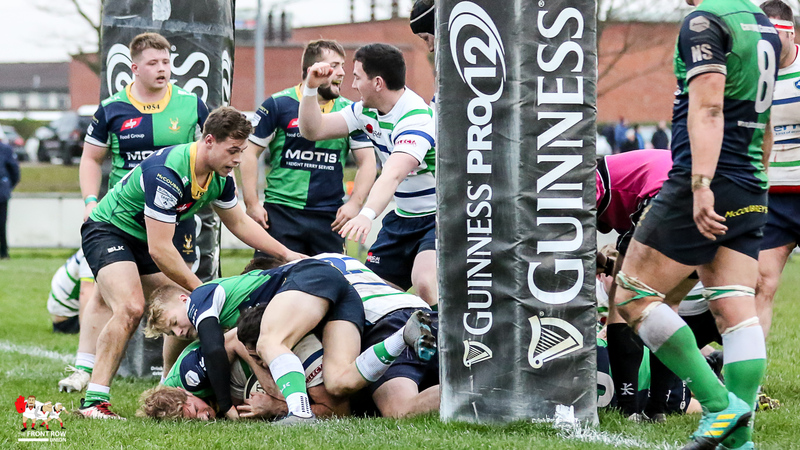 It beats me that people will spend hundreds of pounds for a nothing match down in Dublin when there are little gems like this game on their doorstep most Saturday afternoons. 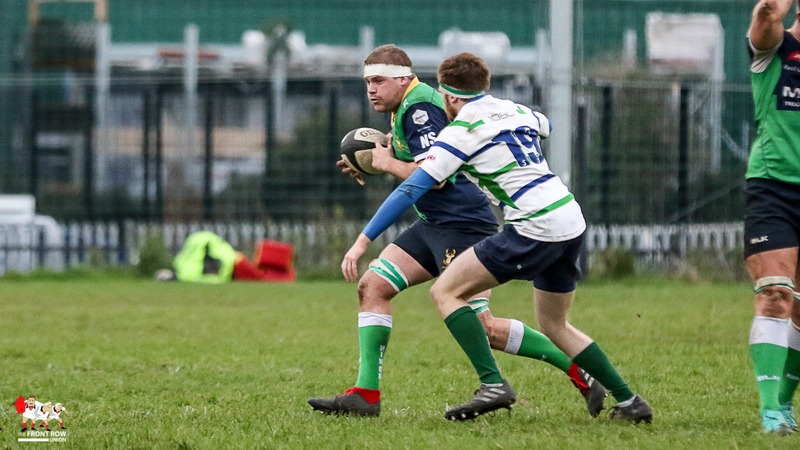 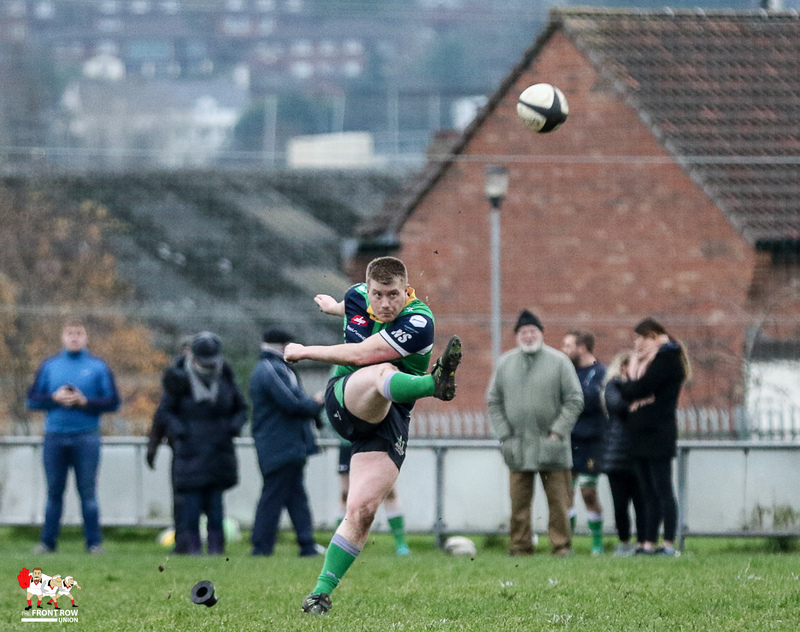 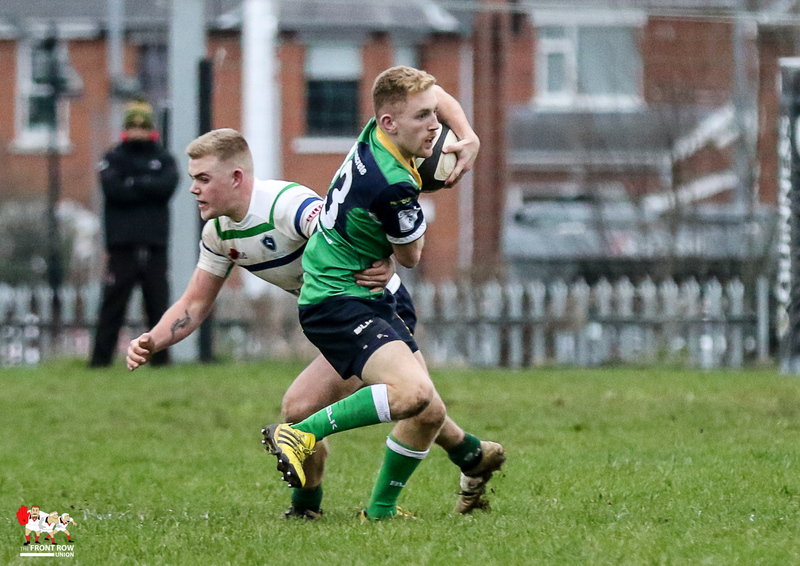 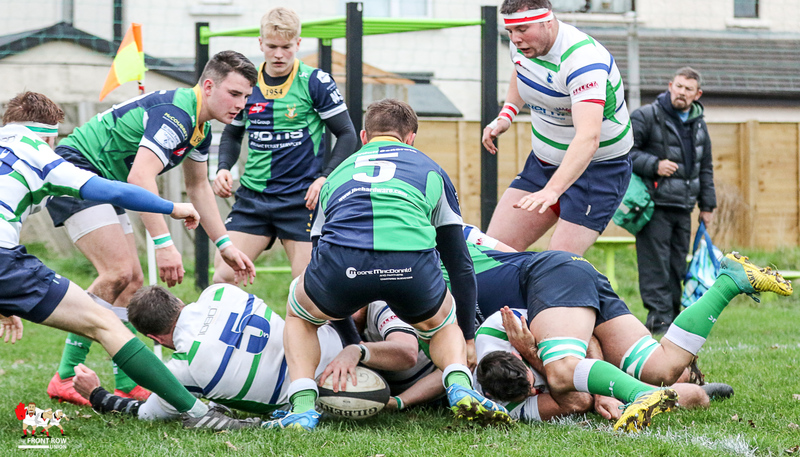 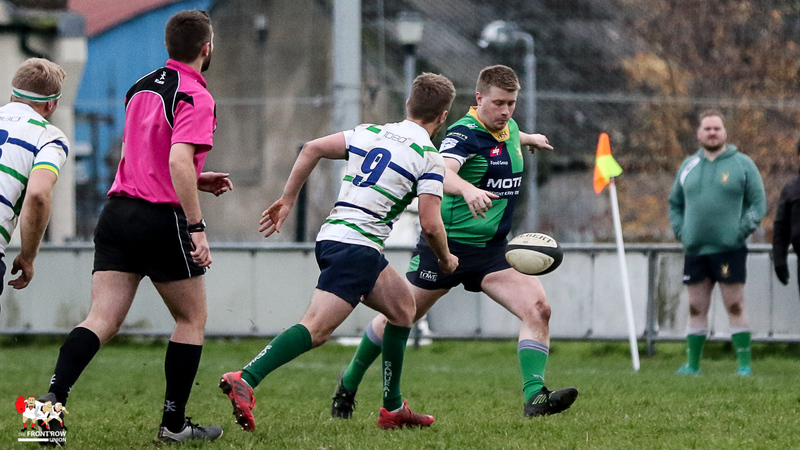 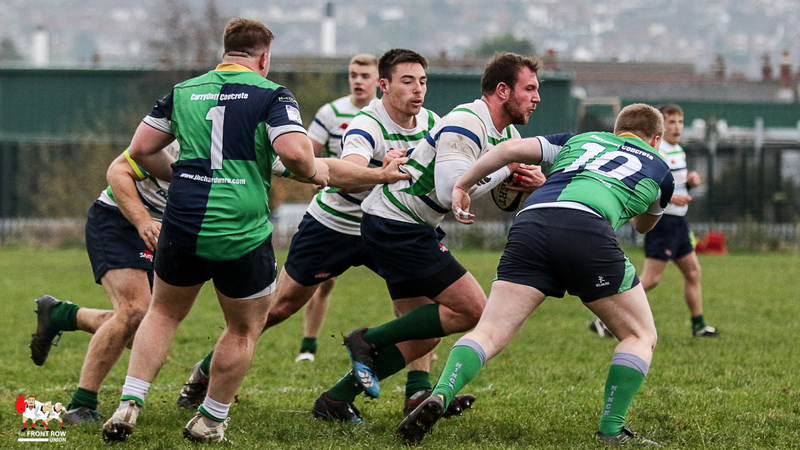 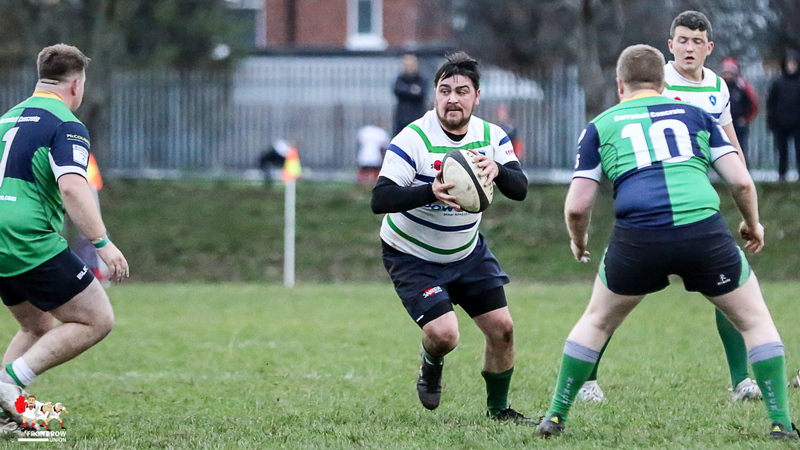 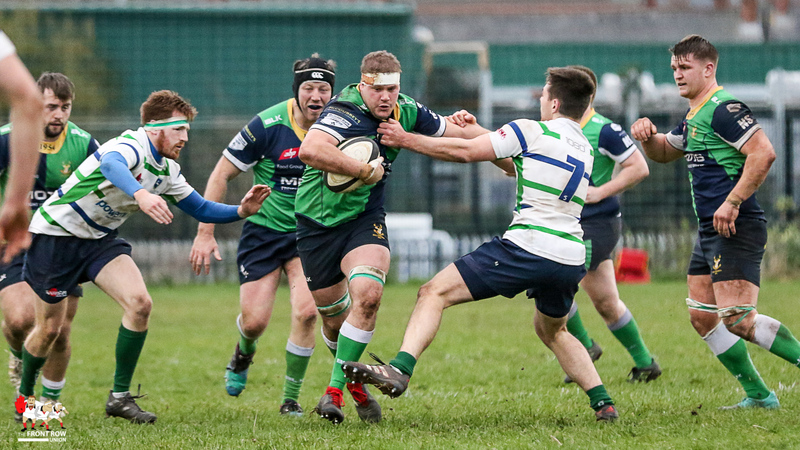 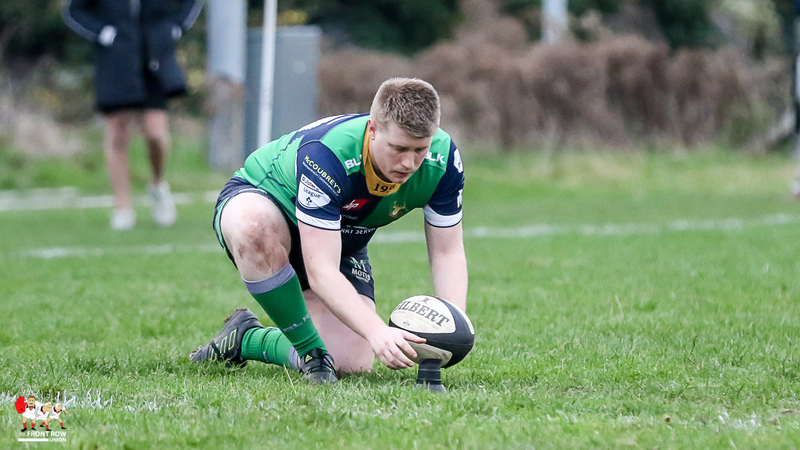 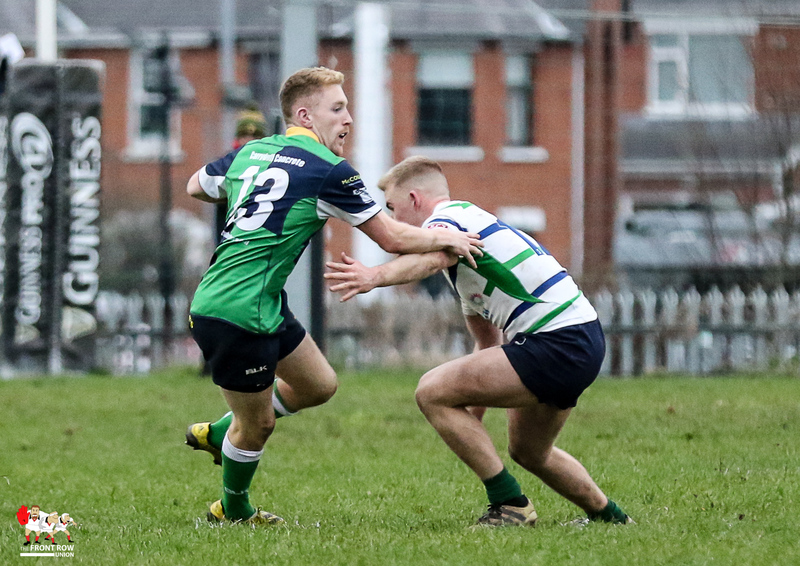 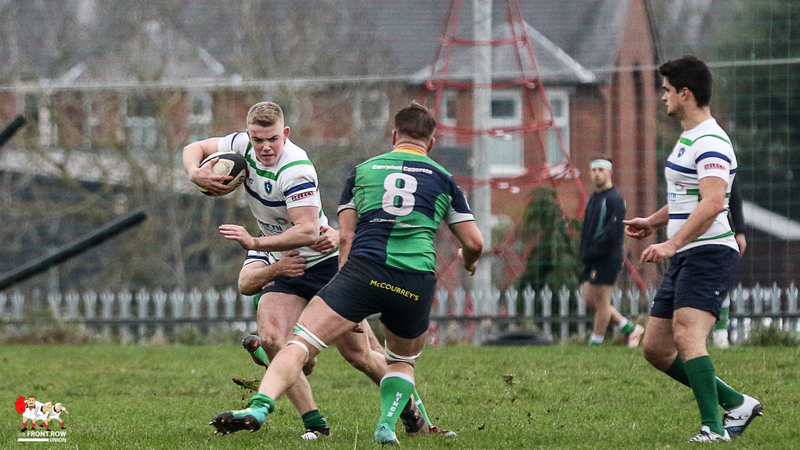 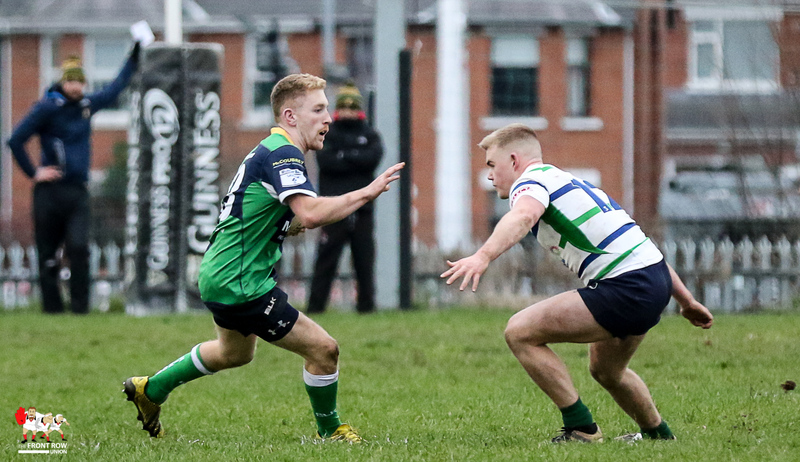 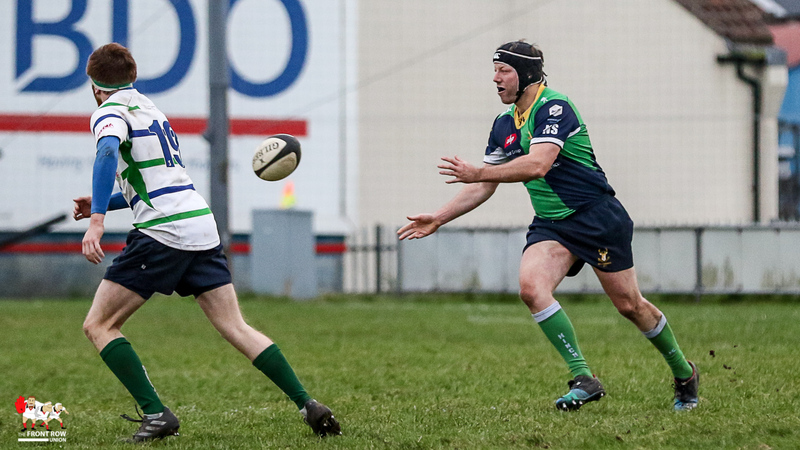 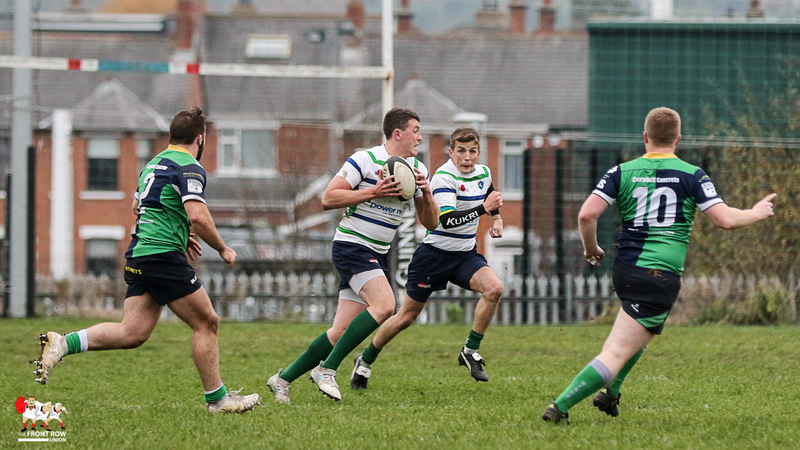 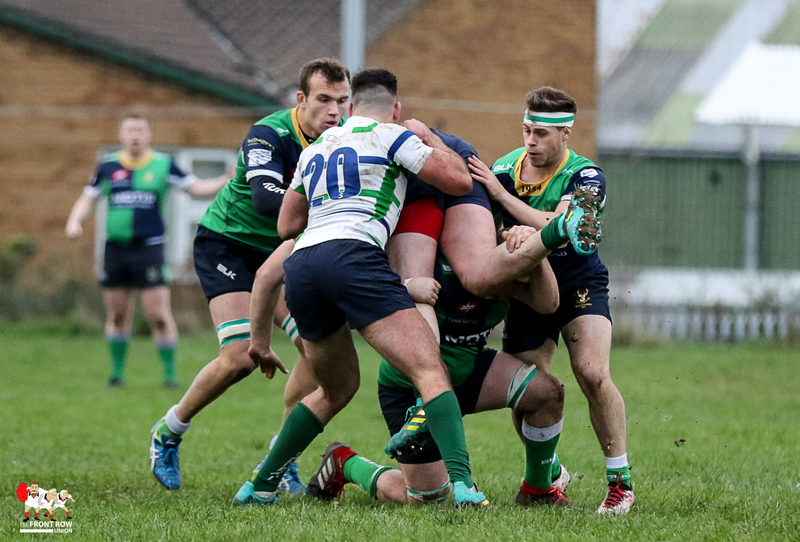 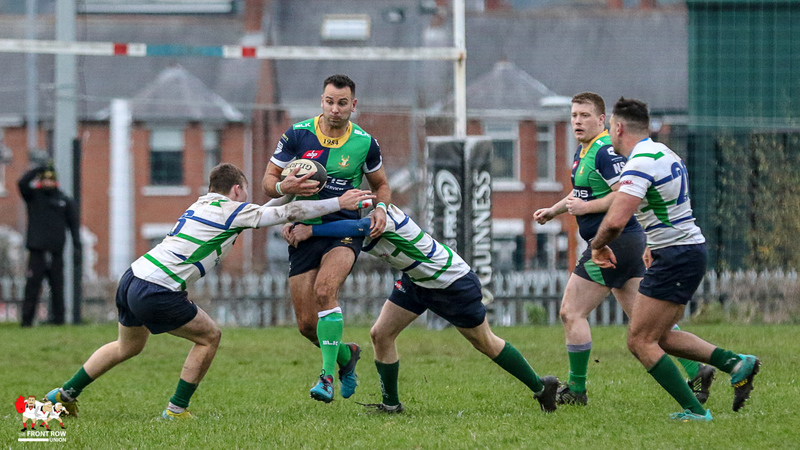 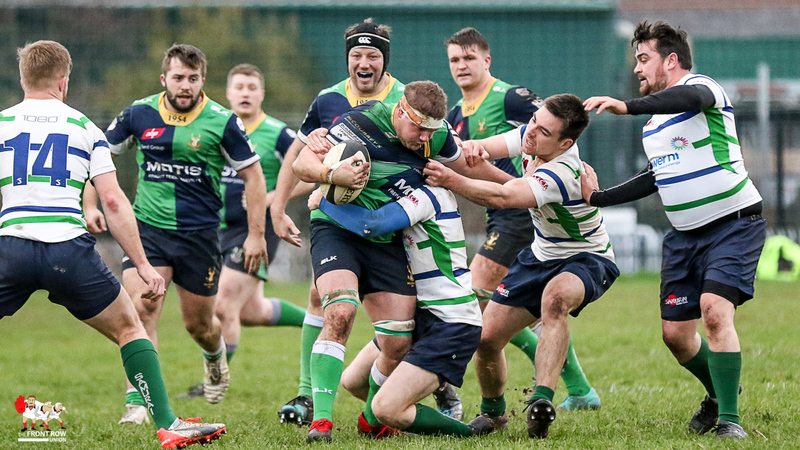 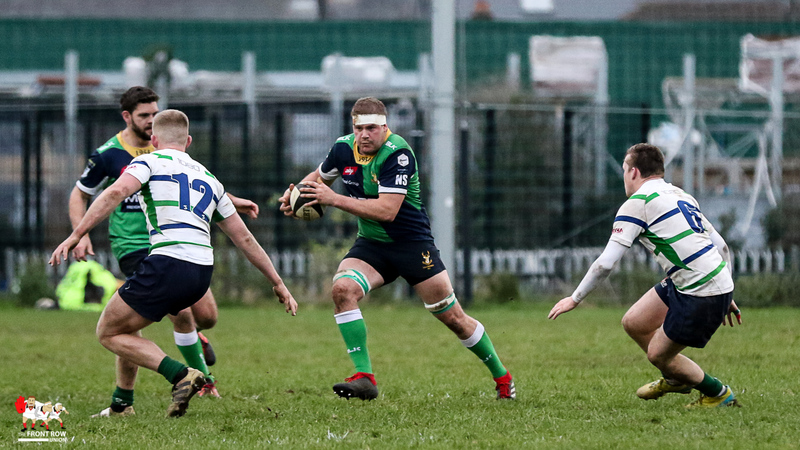 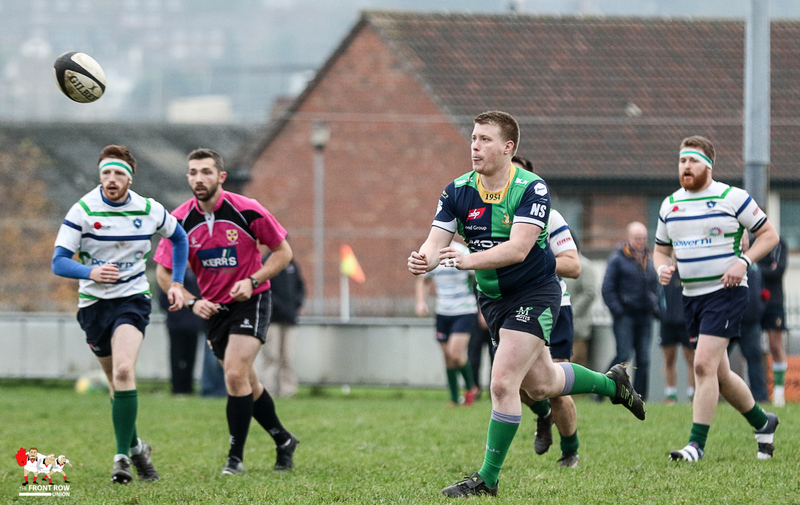 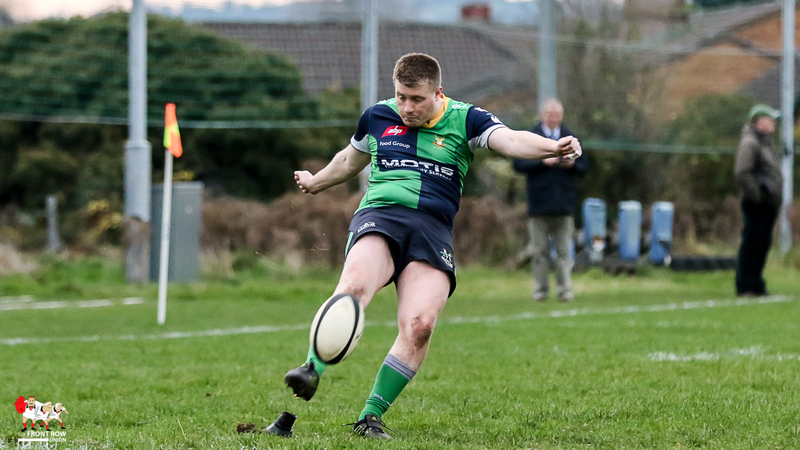 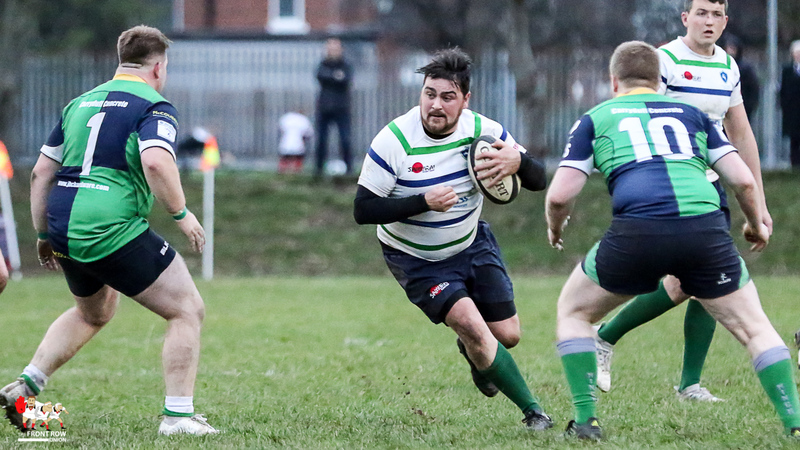 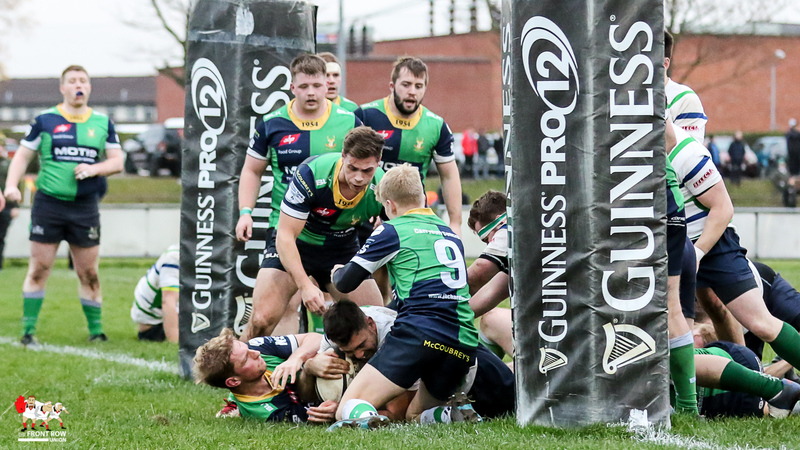 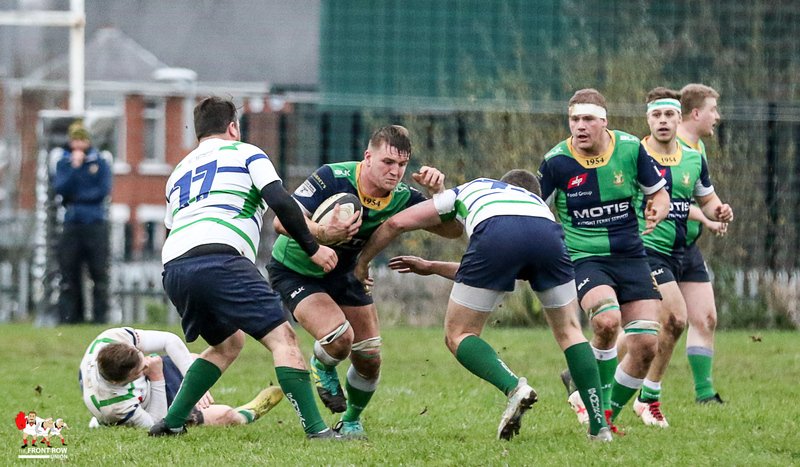 There may not have been the big names on show but there was plenty of good rugby as these two sides slugged it out for a place in the Junior Cup Final at Ravenhill. 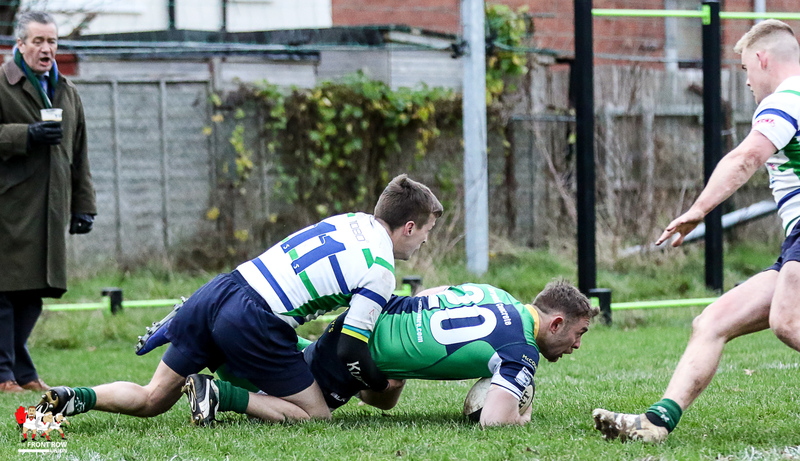 We’d predicted a close game and that’s how it ended up with the lead changing four times in all. 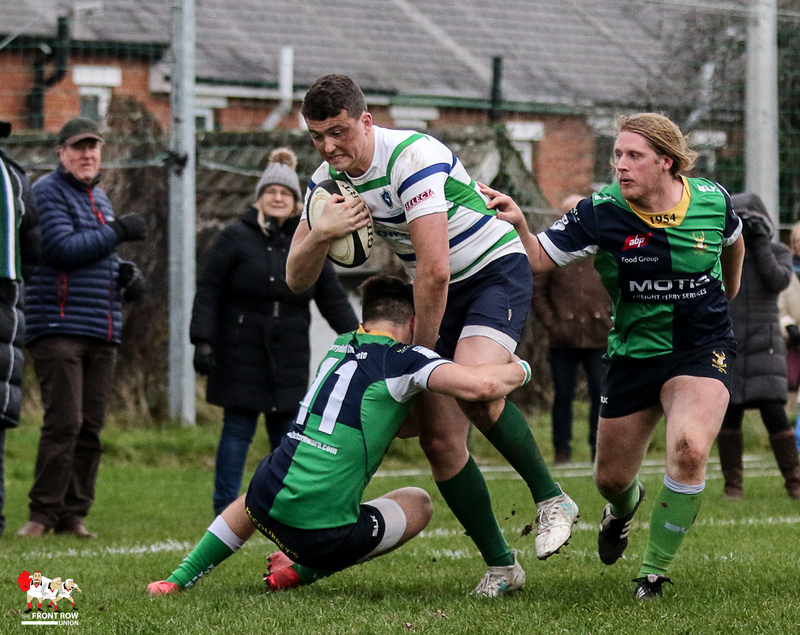 Grosvenor got things up in running in the first quarter with Stuart Smyth finding the line at the bottom of a maul only for Hinch to reply five minutes later through Clayton Milligan to tie the game at 5 all. 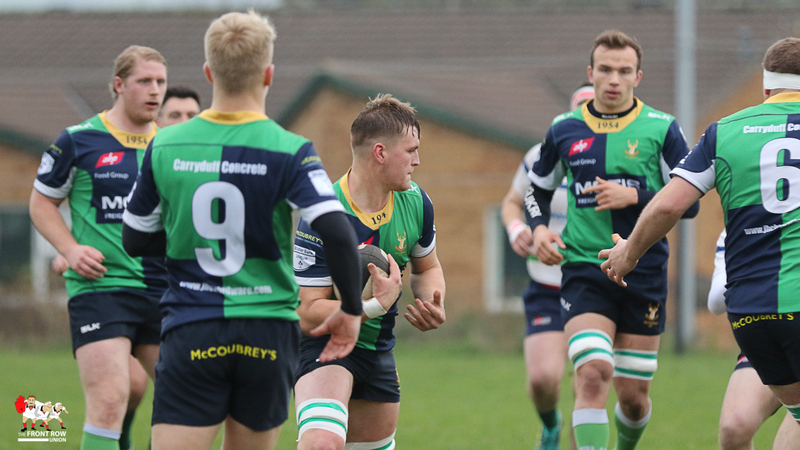 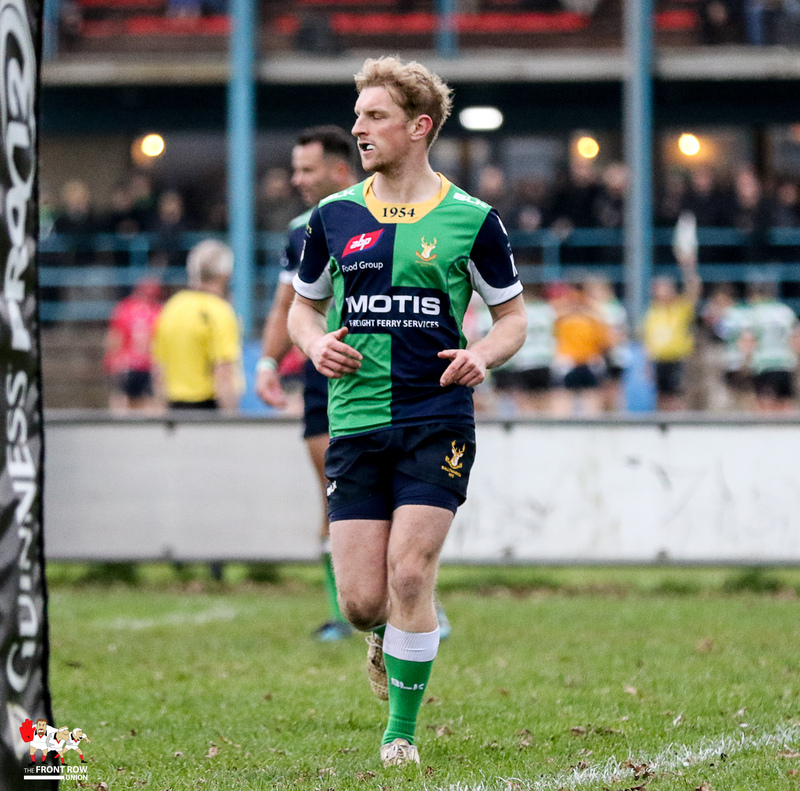 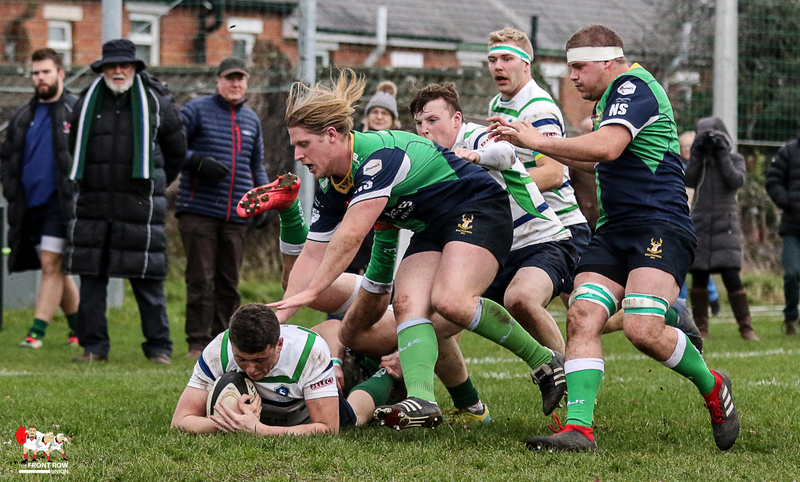 Grosvenor went back in front through an Allen McCluggage penalty towards the end of the first quarter but the visitors turned up the heat in the second quarter and went in front for the first time with a converted try, with Milligan crossing for his second. 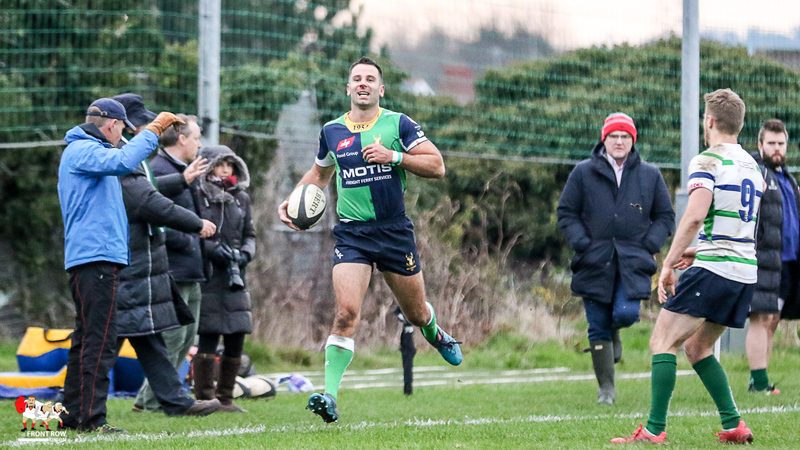 McCluggage pulled back a penalty for Grosvenor to take the score to 11 – 12 in Hinch’s favour at the break. 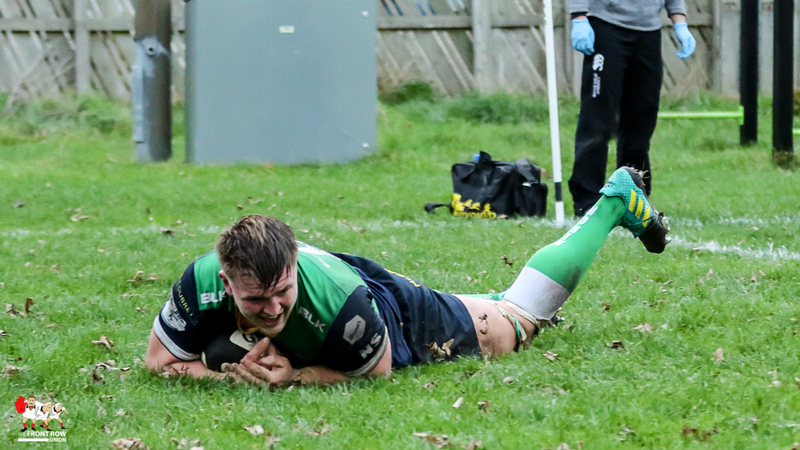 McCluggage put Grosvenor back in front with a penalty minutes after the restart but it didn’t last long as Hinch knocked one over three minutes later. 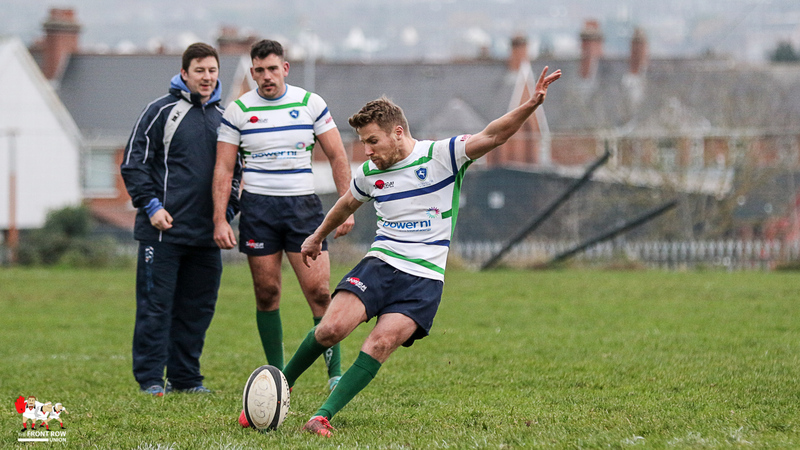 After a period of sustained pressure near the Grosvenor line the Hinch No. 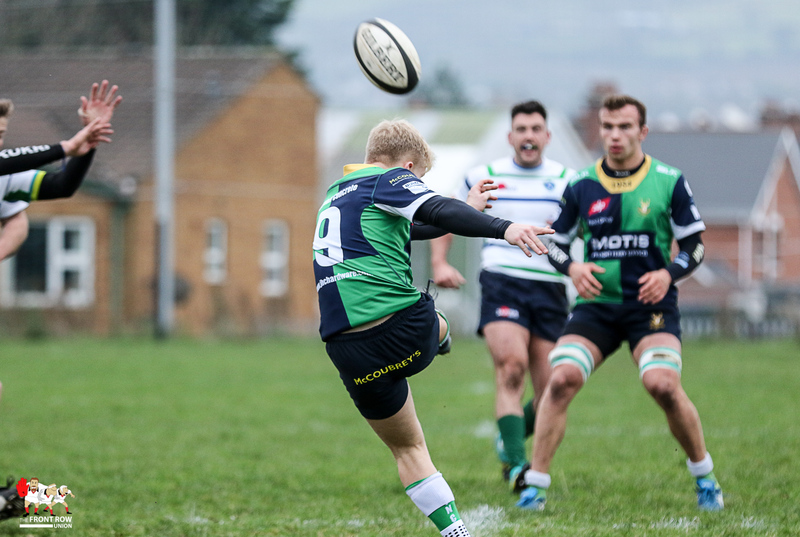 8, Garreth Gill delivered a sucker punch, nipping over the line unopposed of the back of a collapsing maul to put the visitors six points clear. 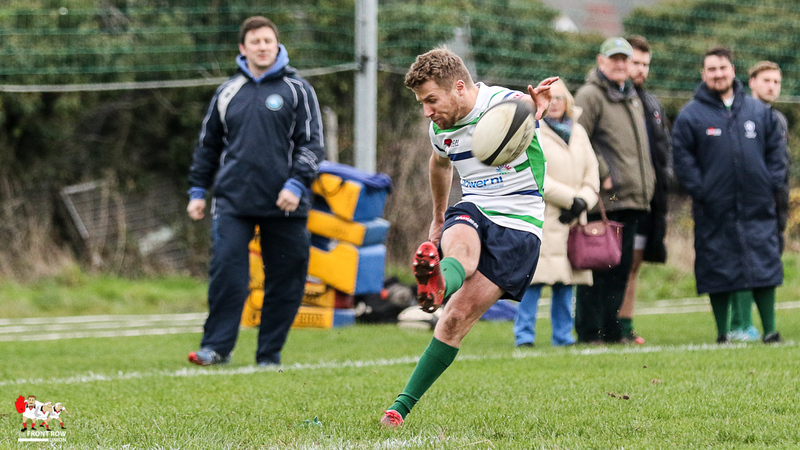 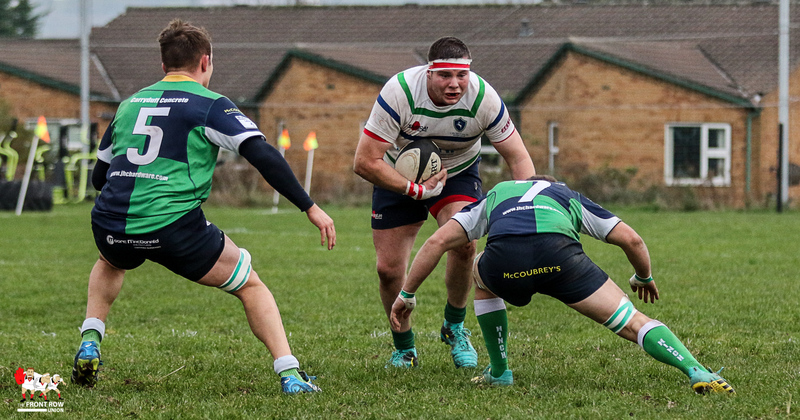 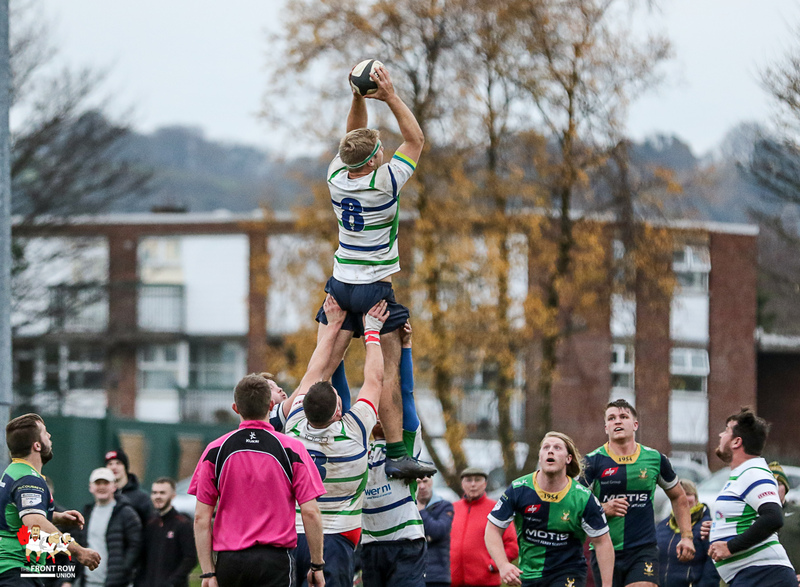 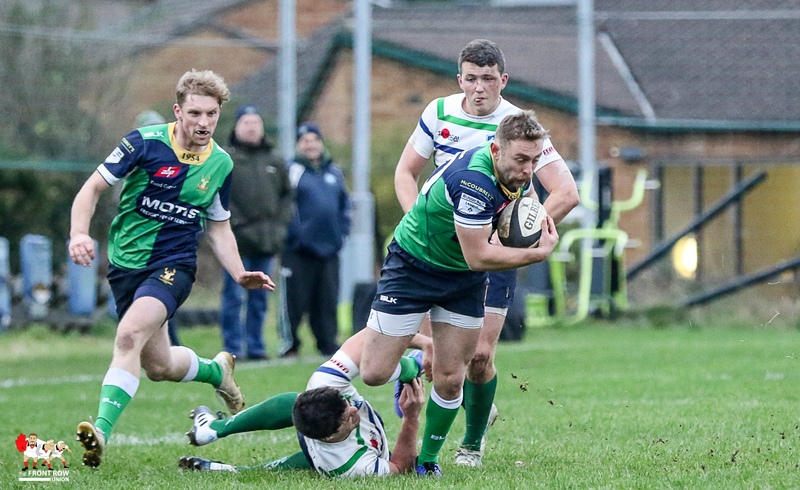 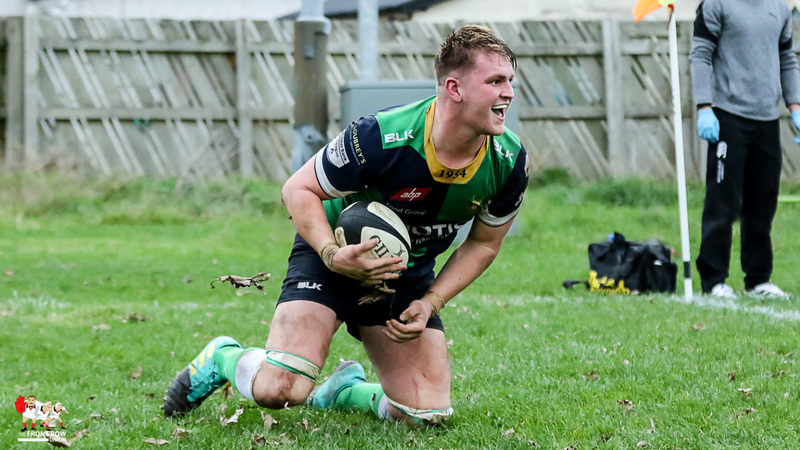 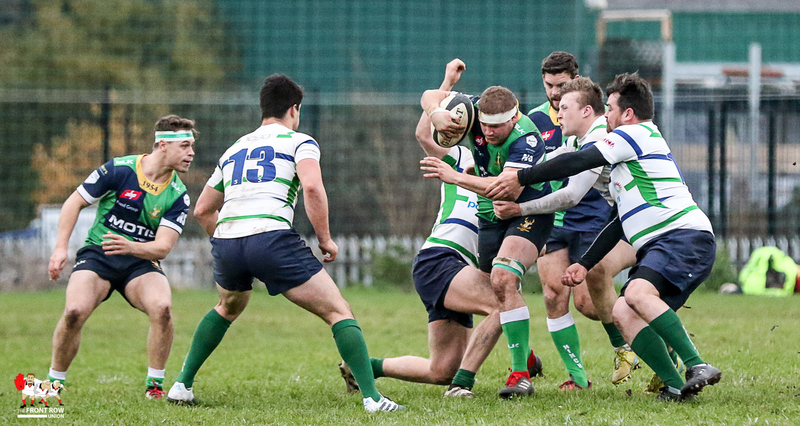 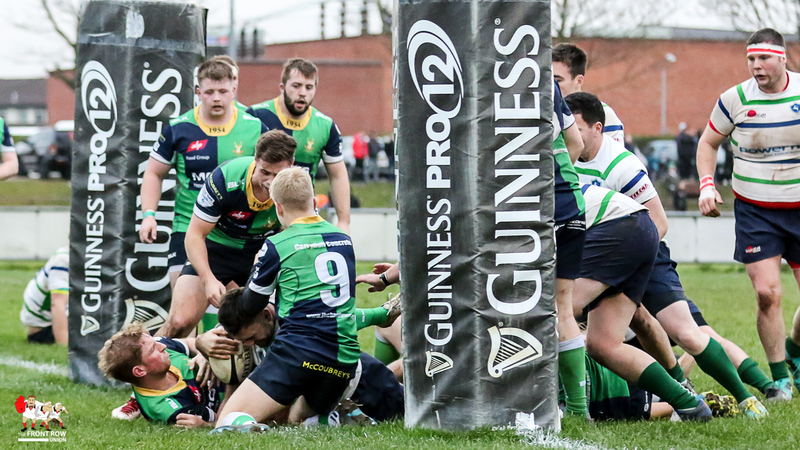 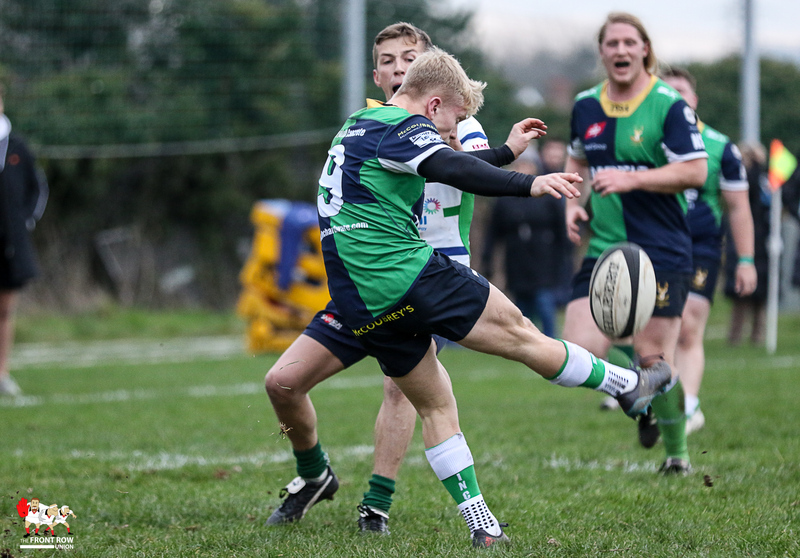 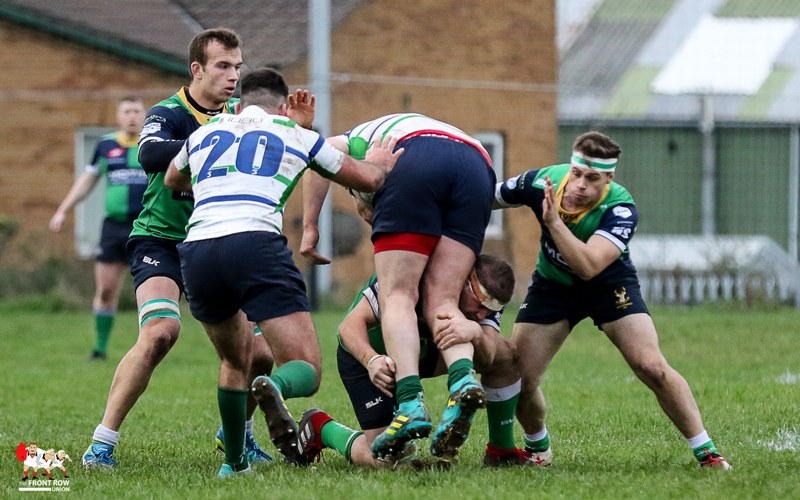 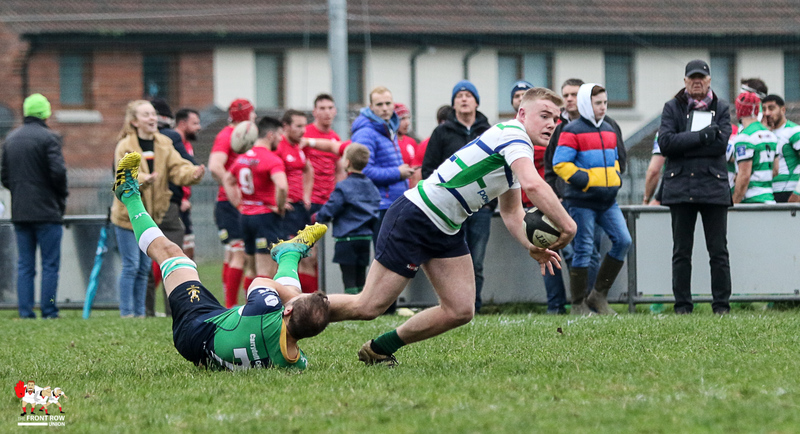 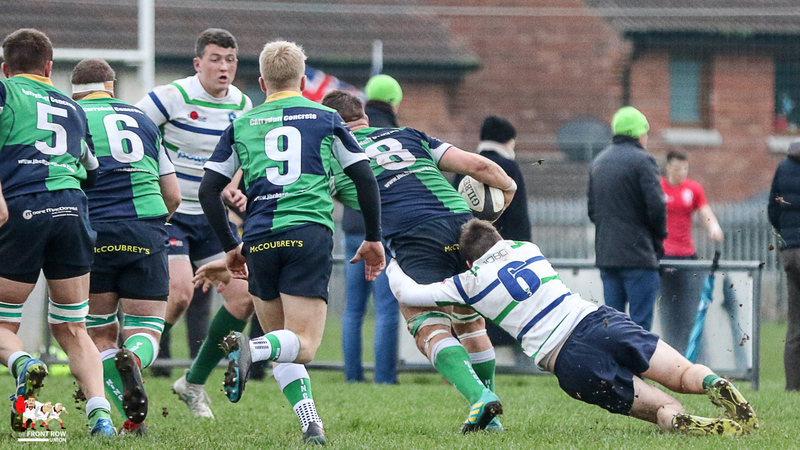 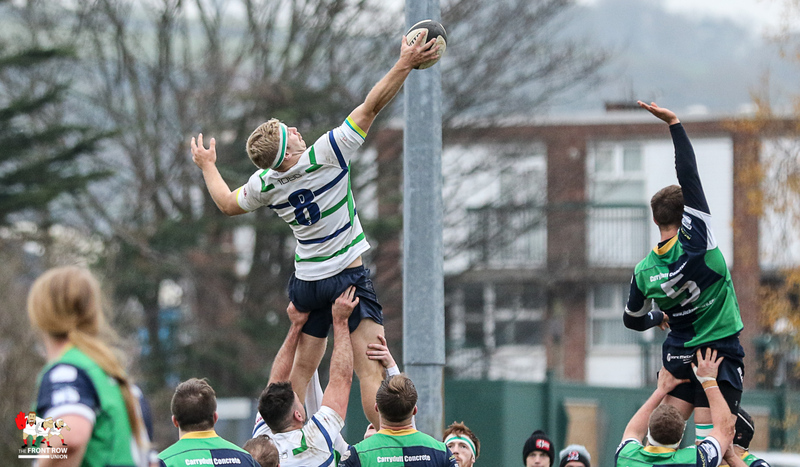 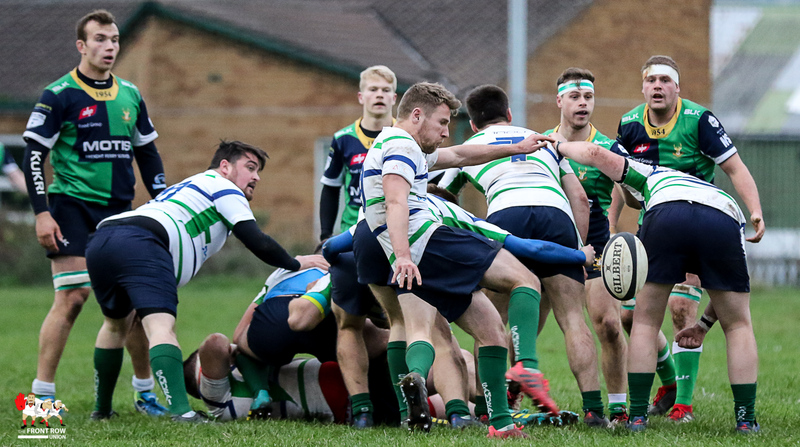 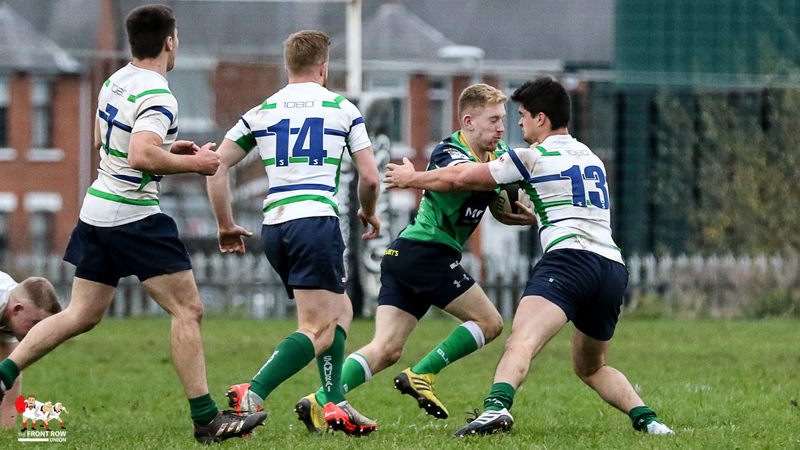 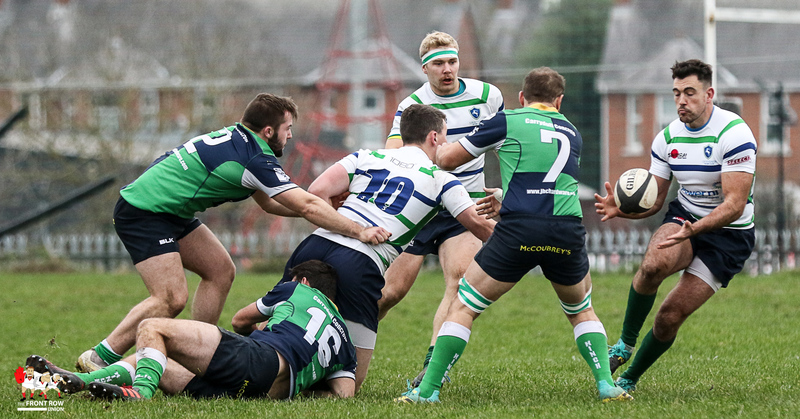 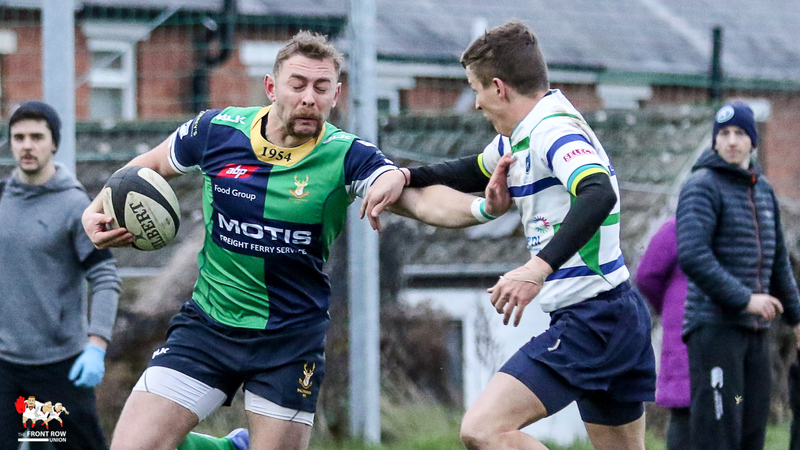 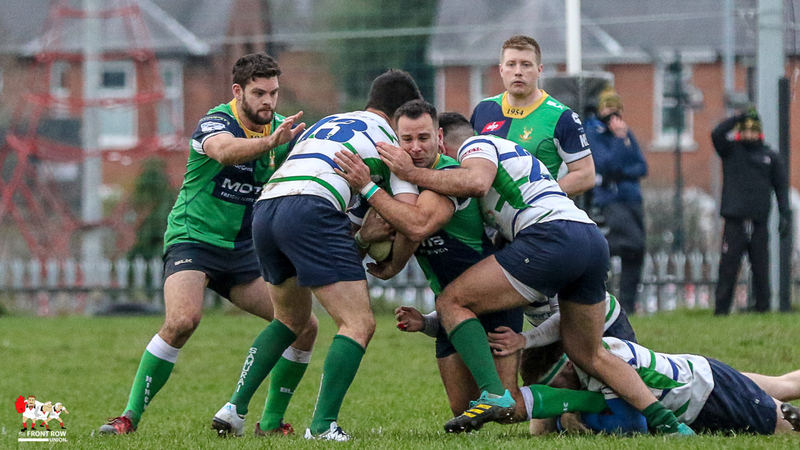 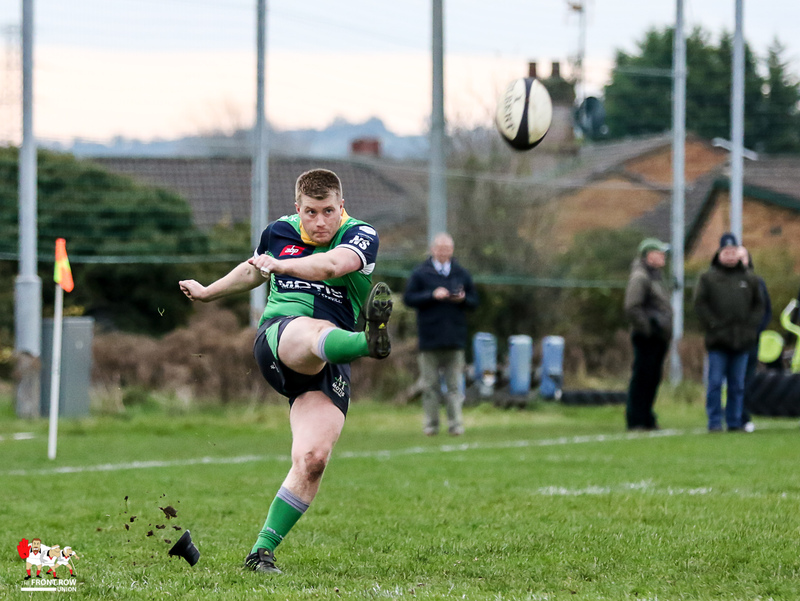 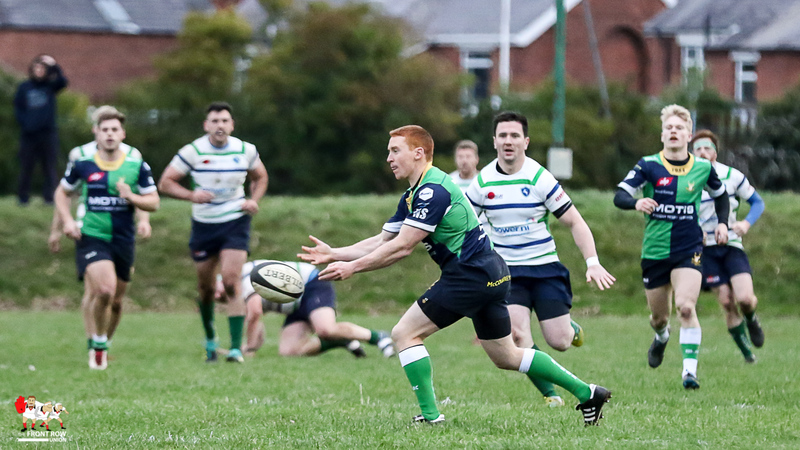 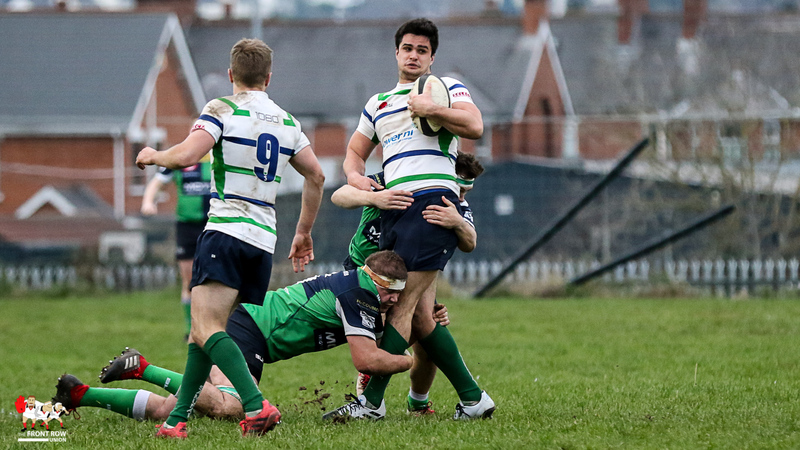 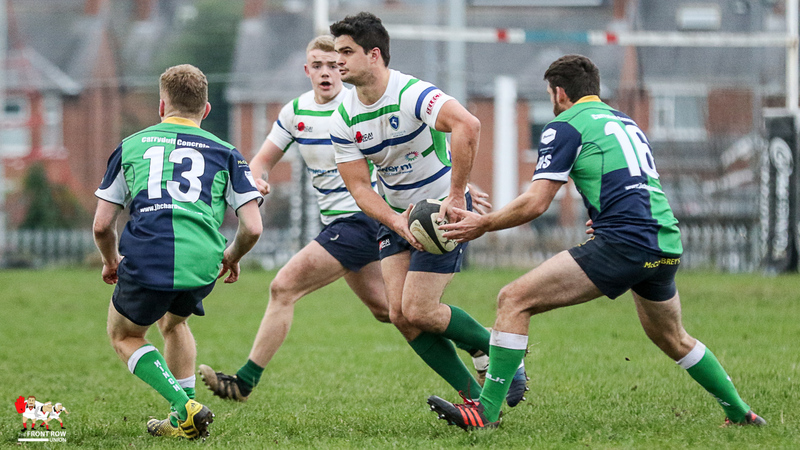 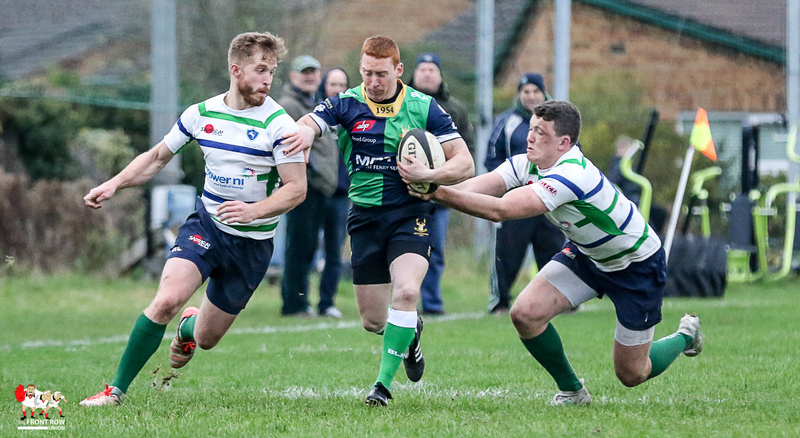 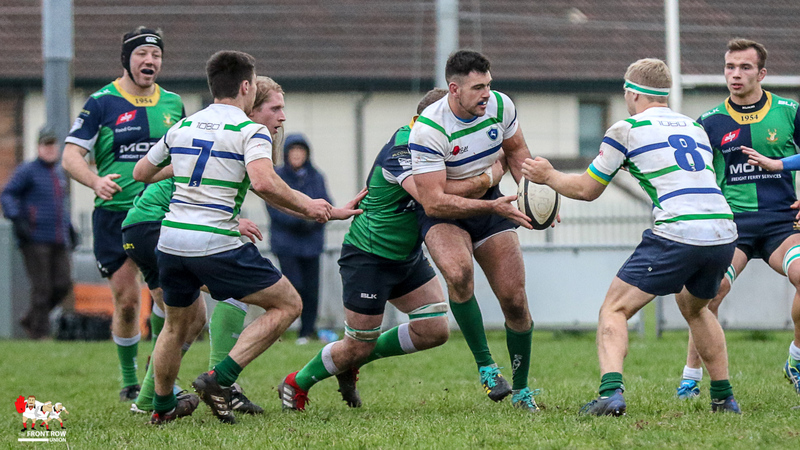 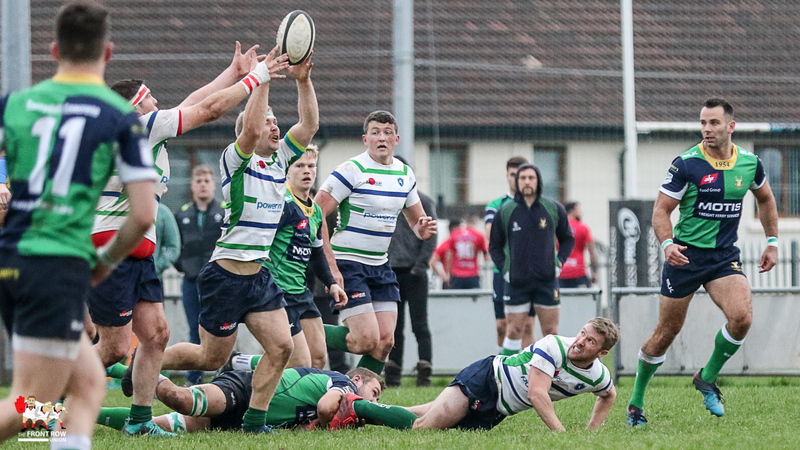 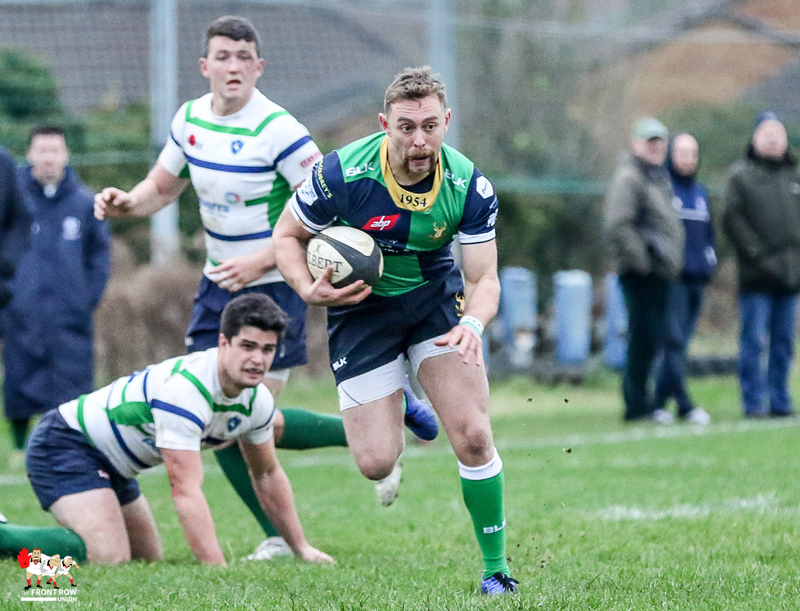 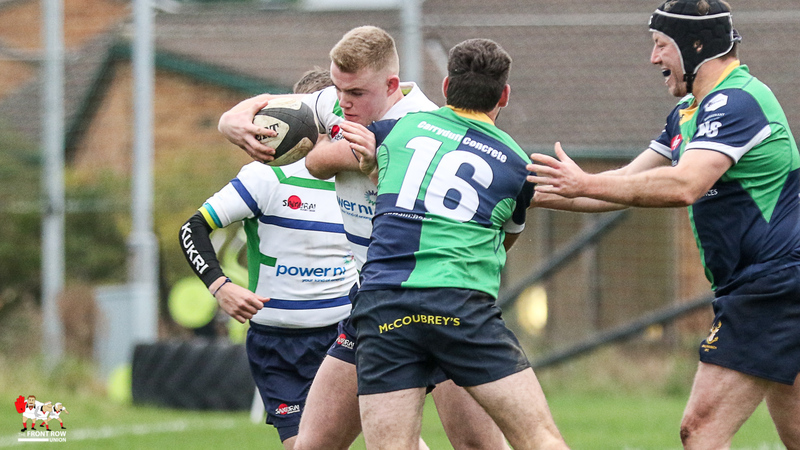 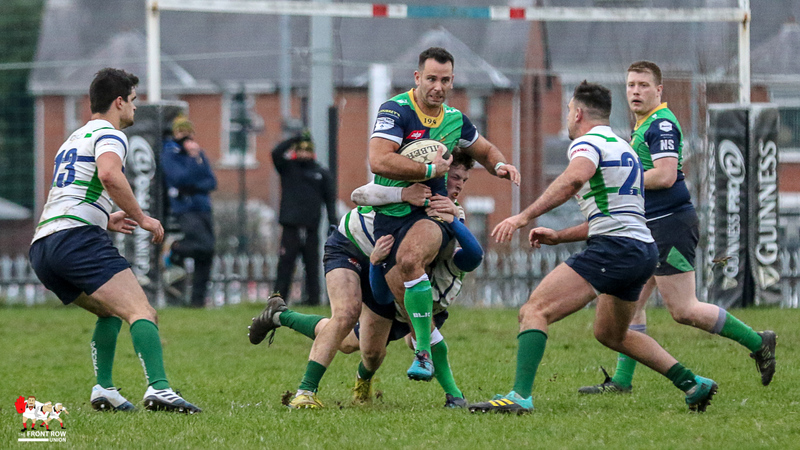 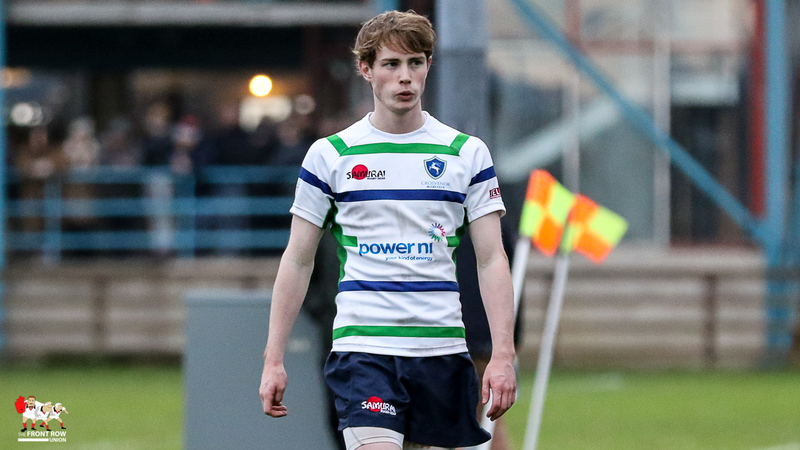 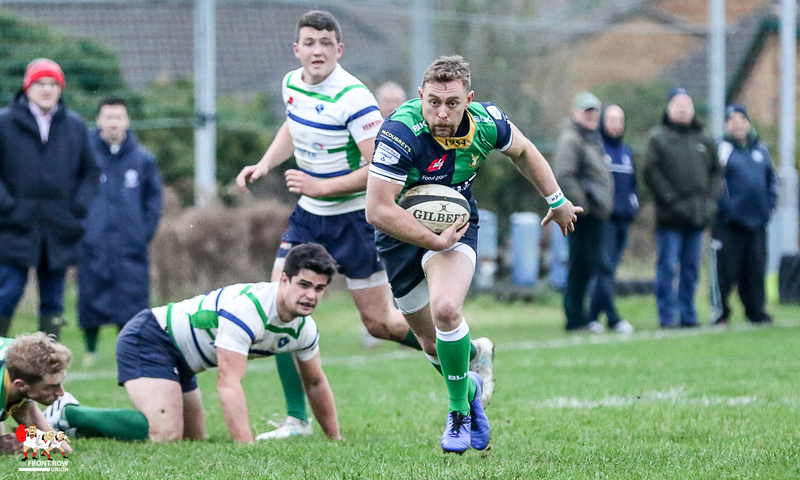 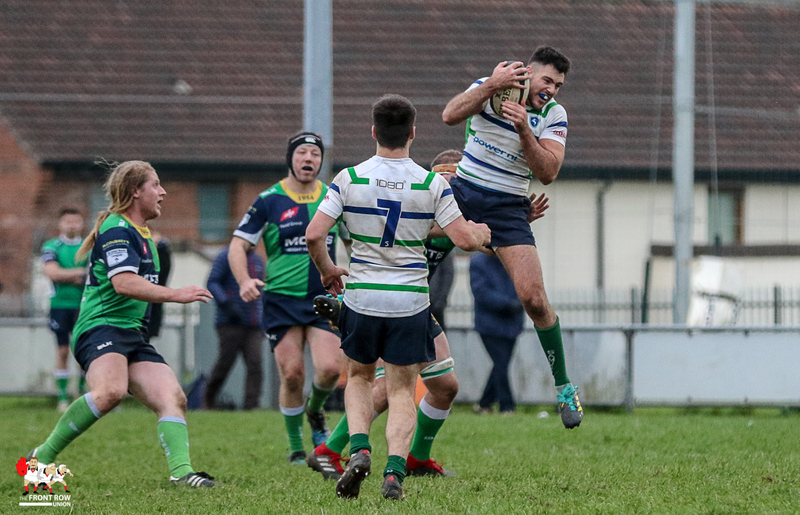 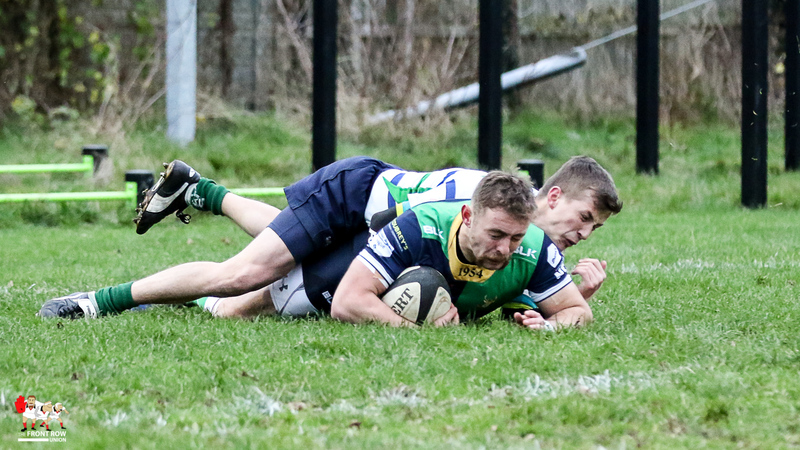 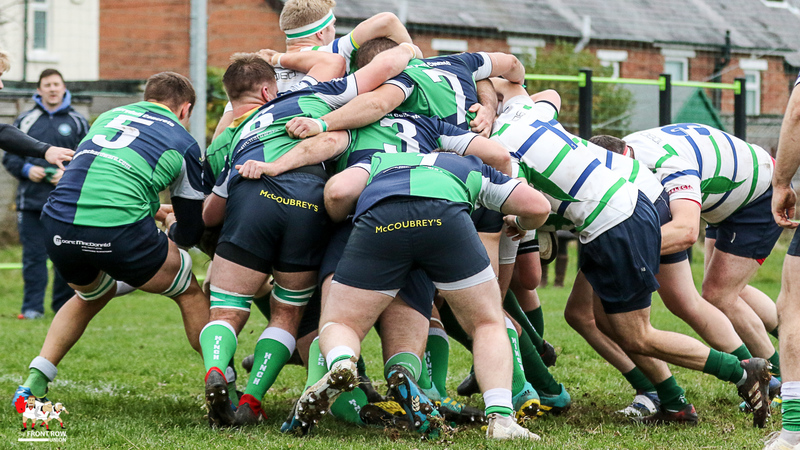 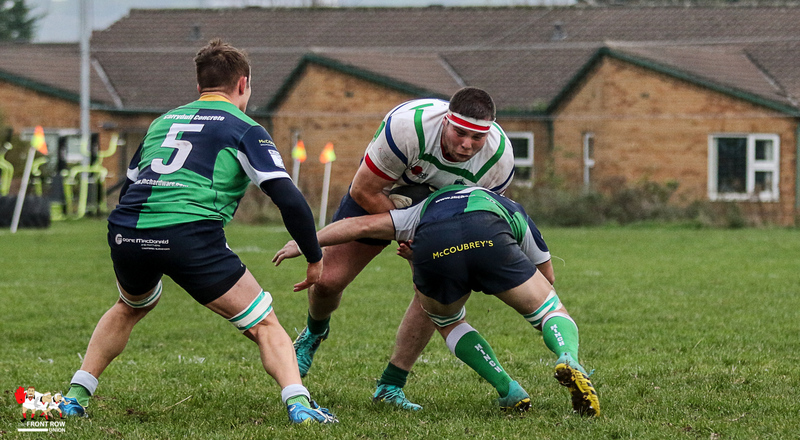 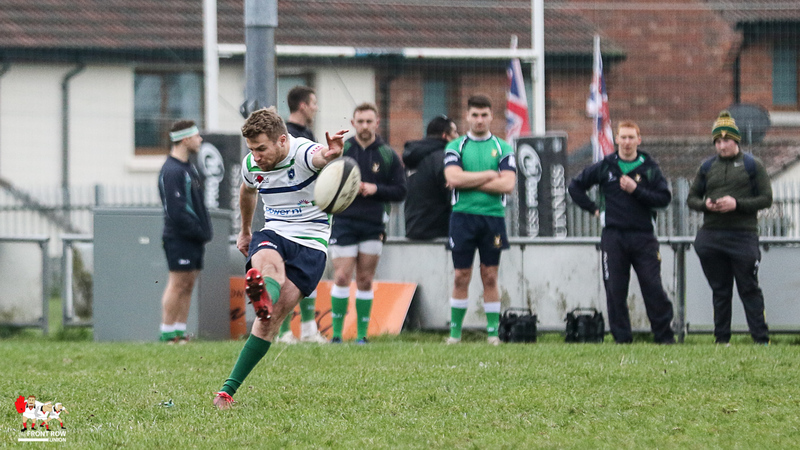 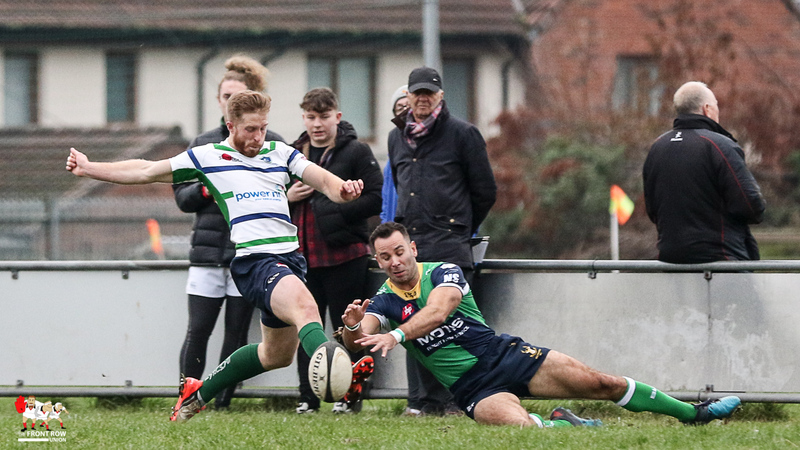 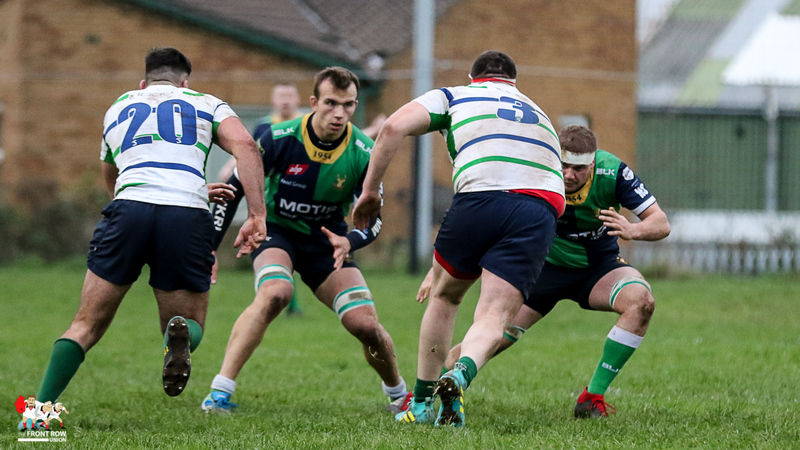 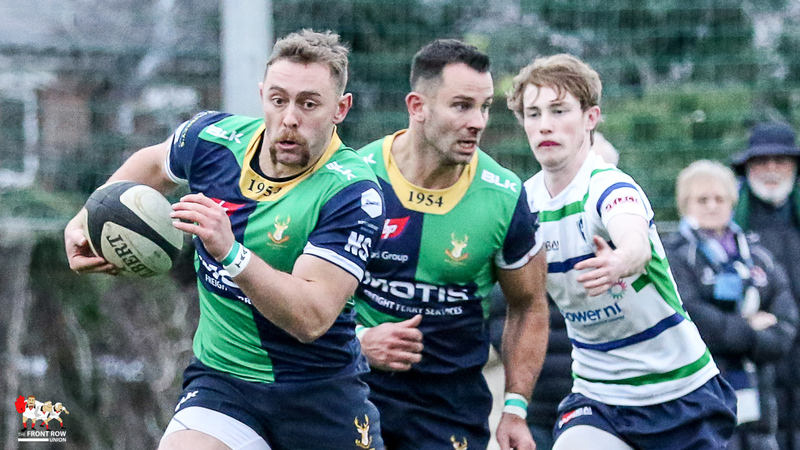 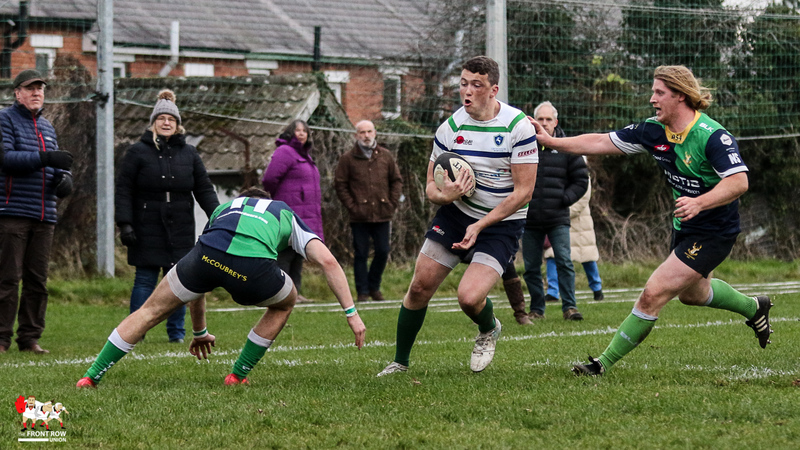 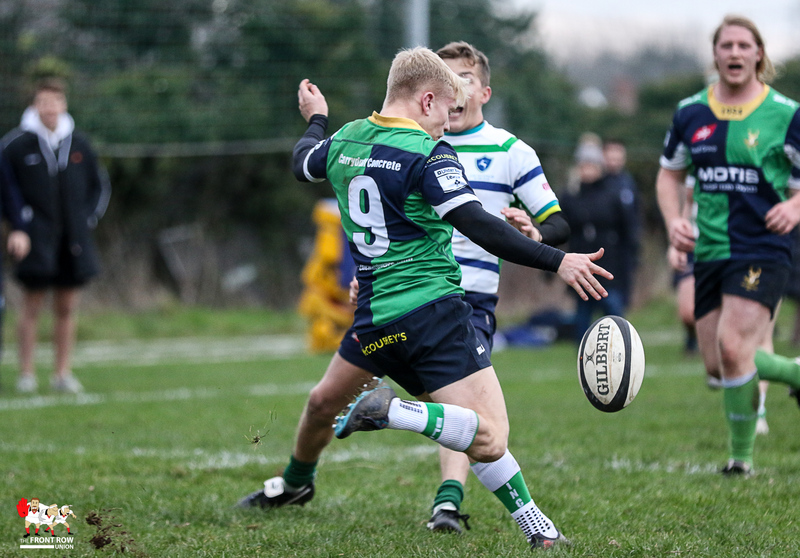 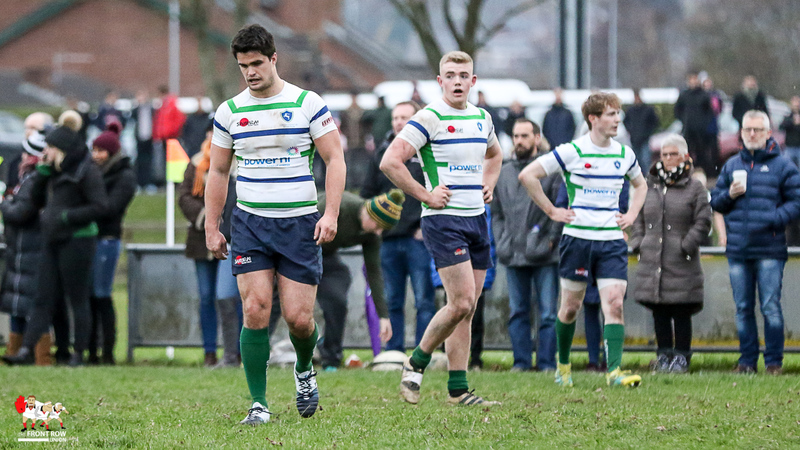 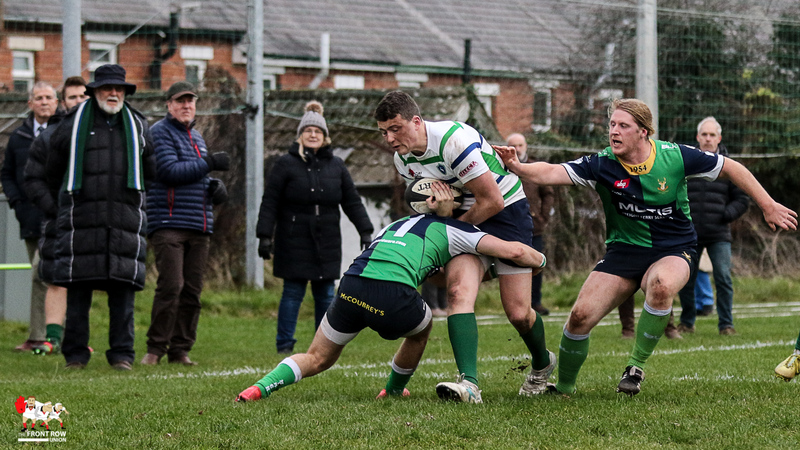 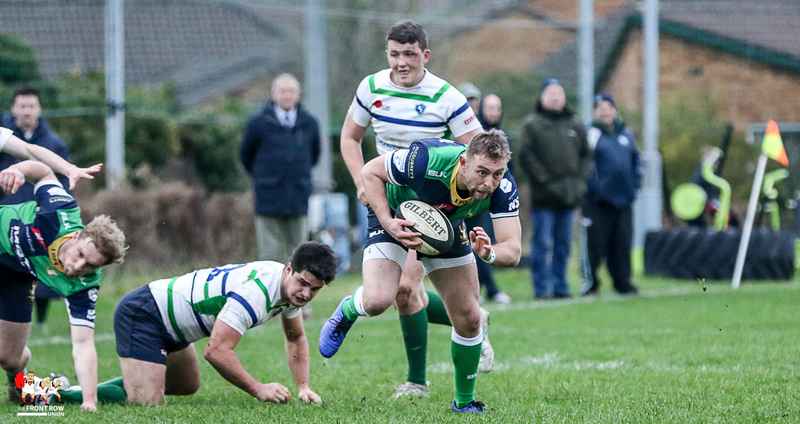 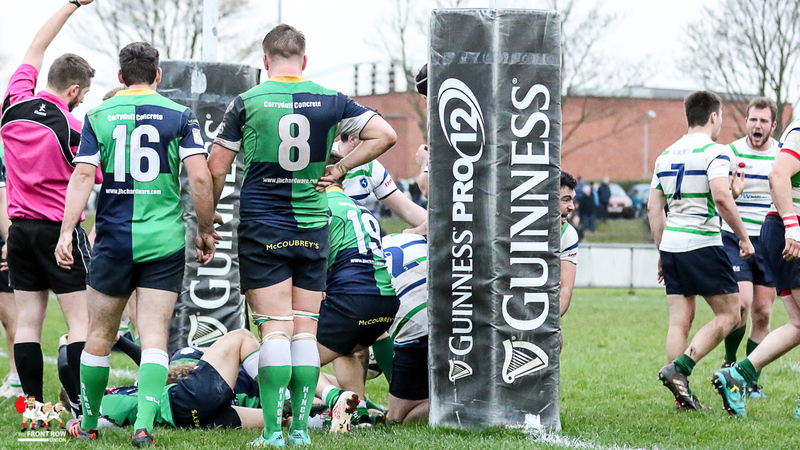 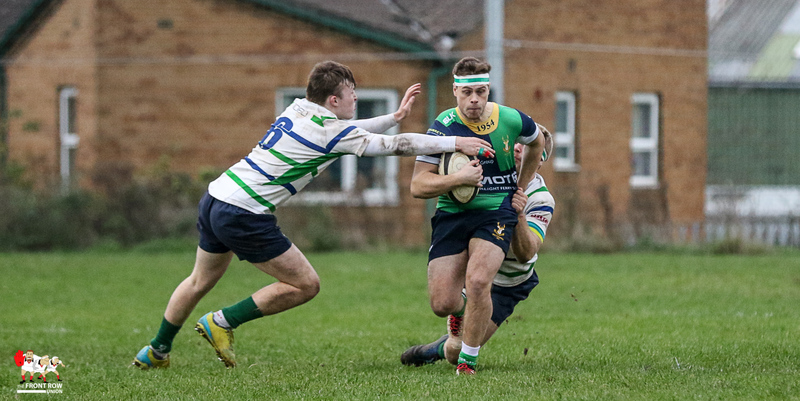 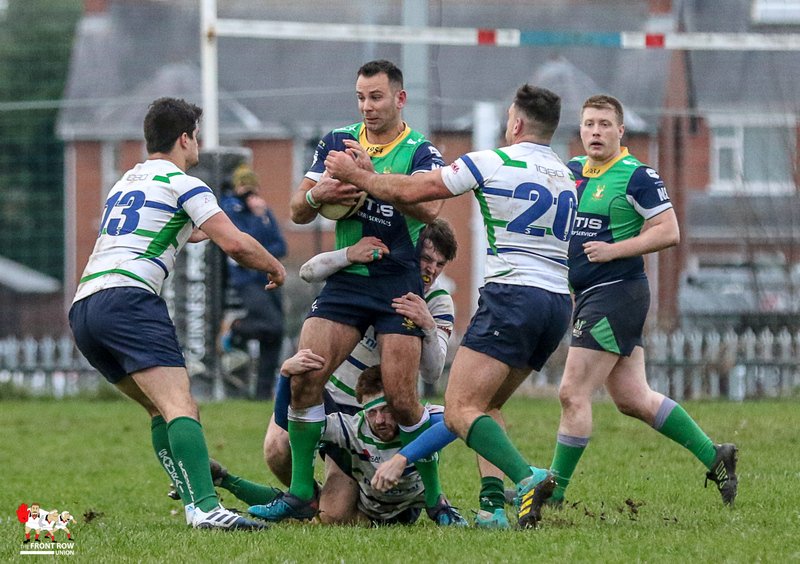 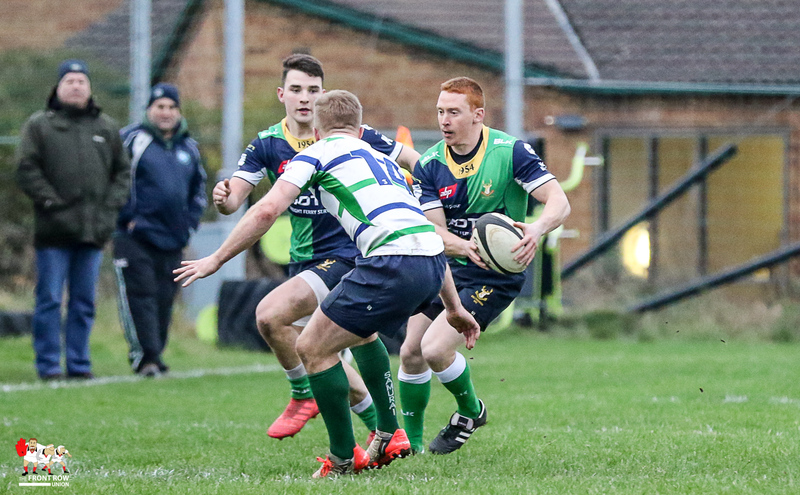 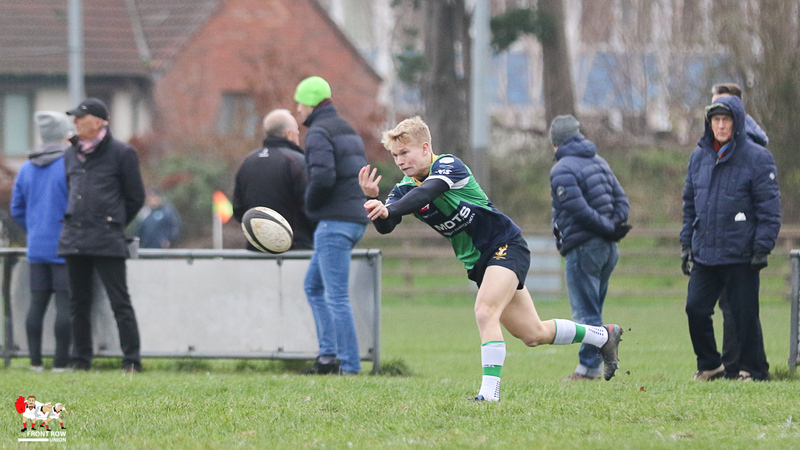 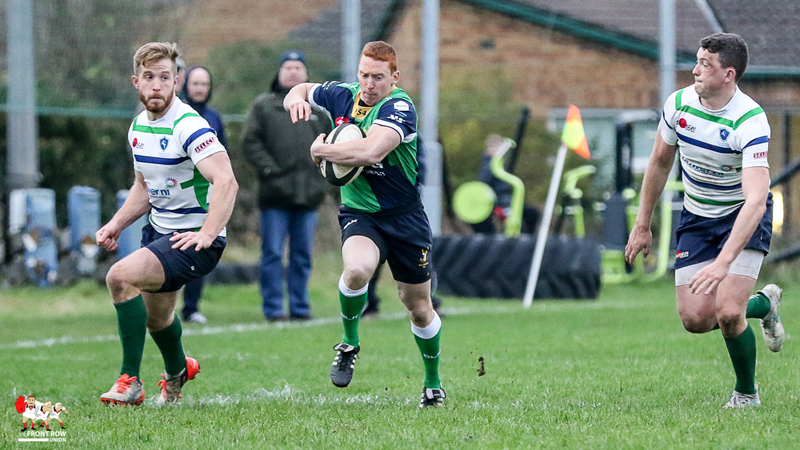 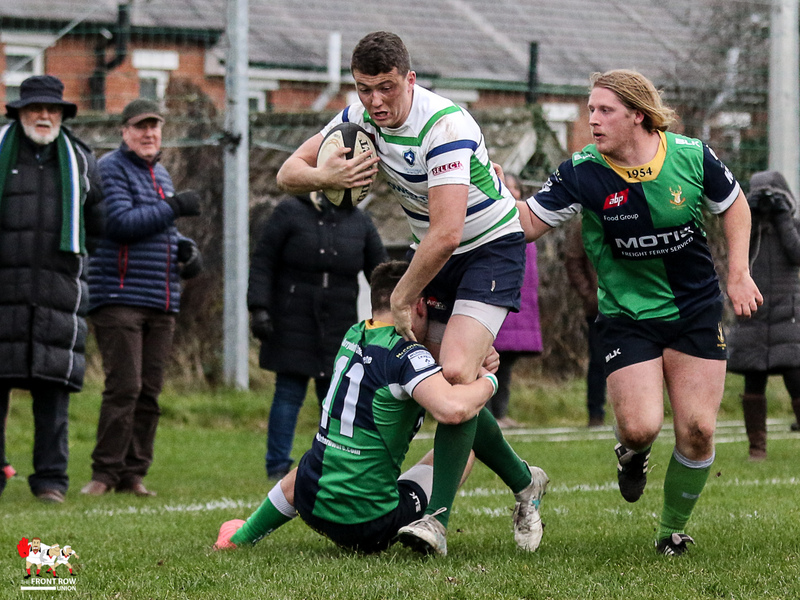 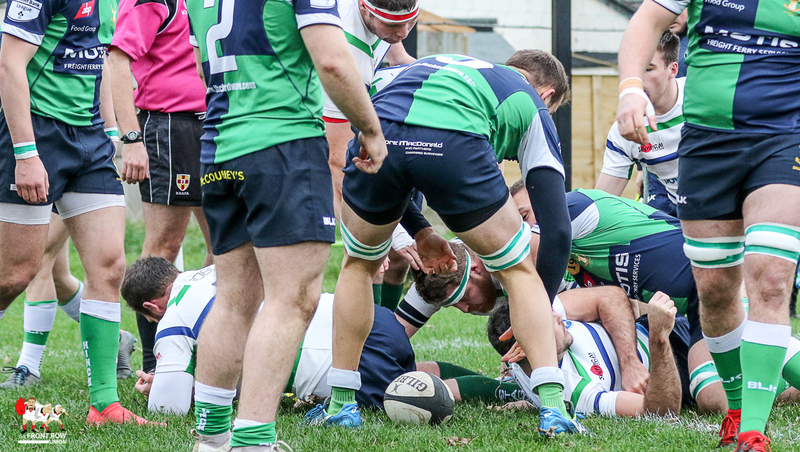 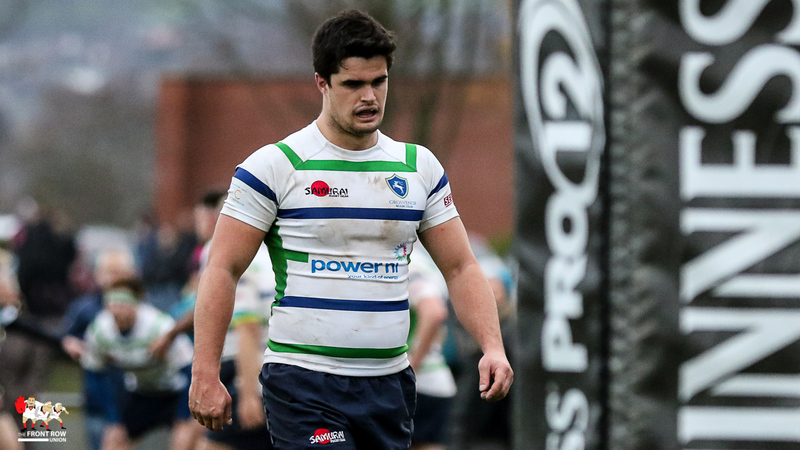 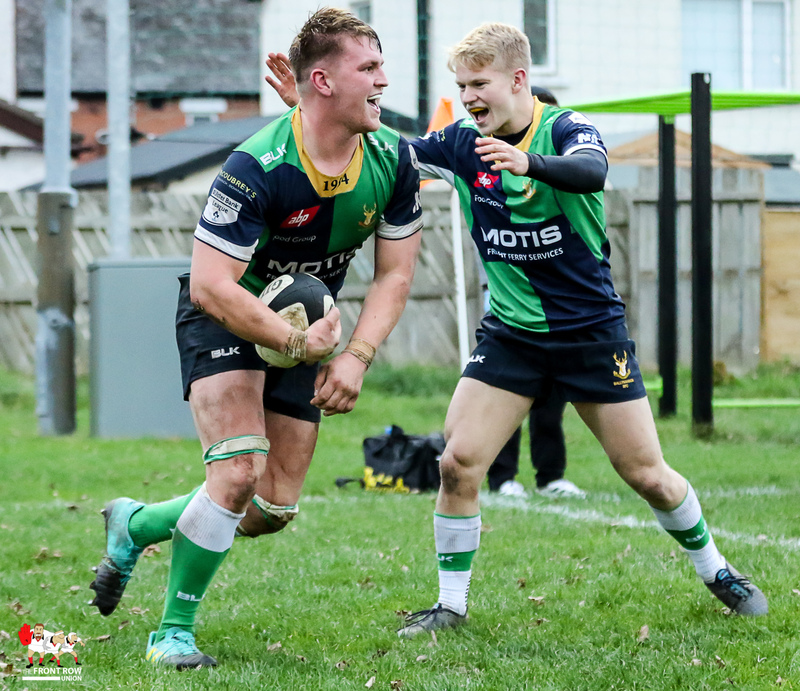 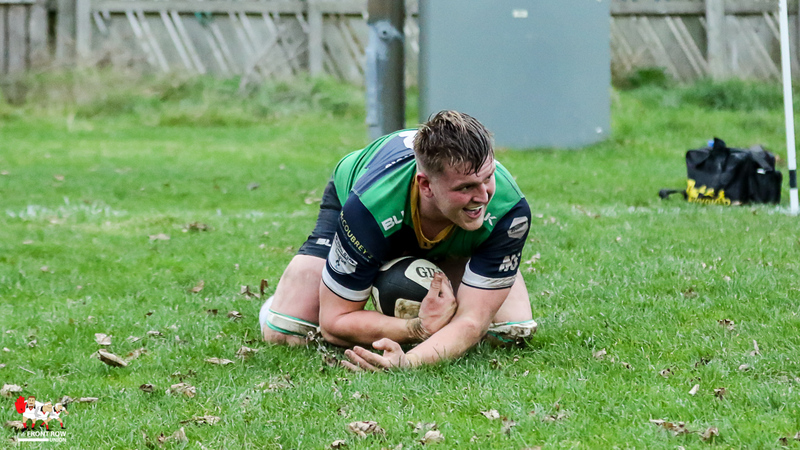 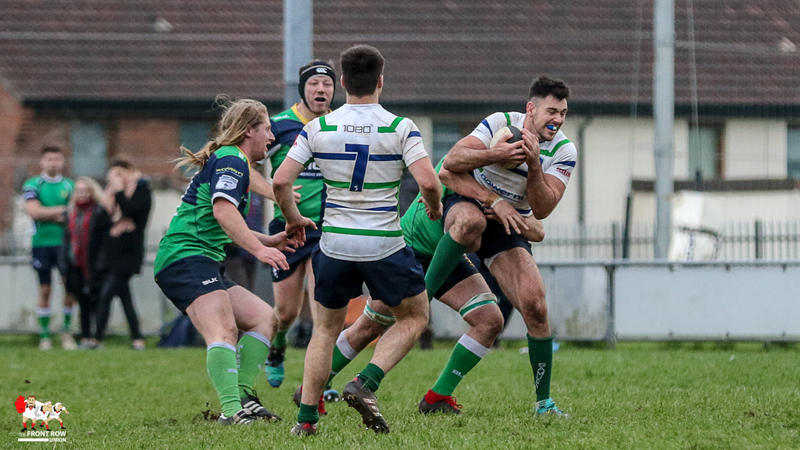 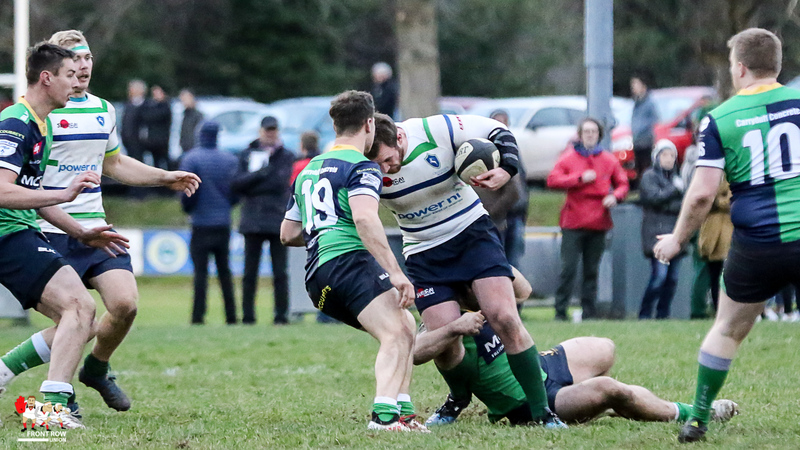 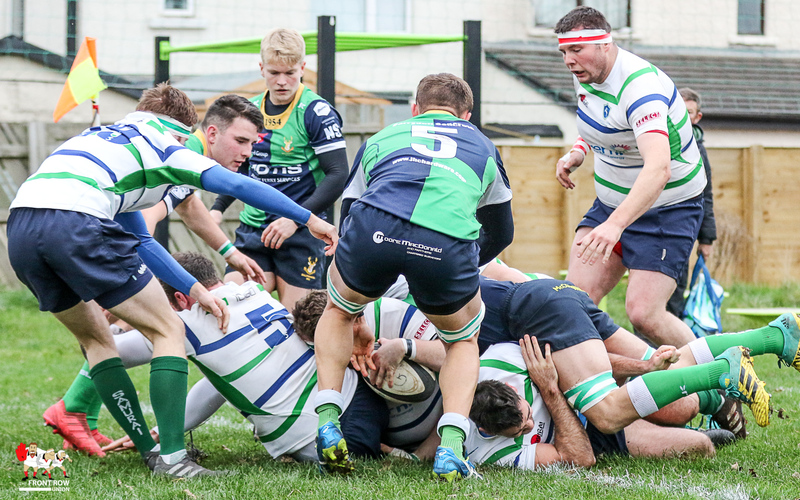 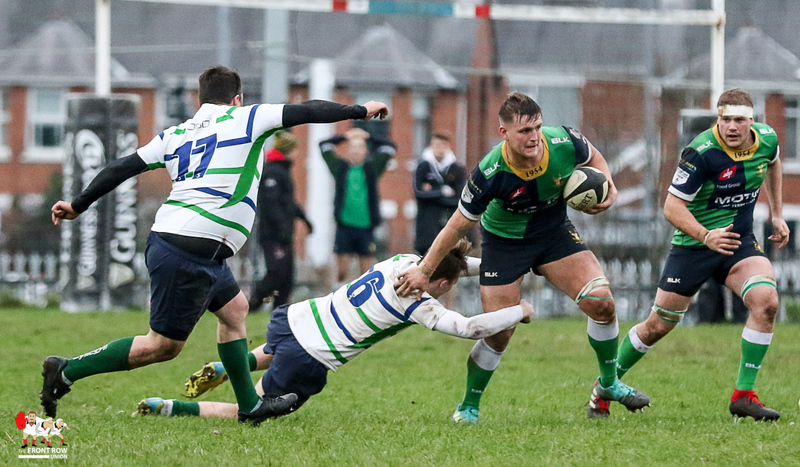 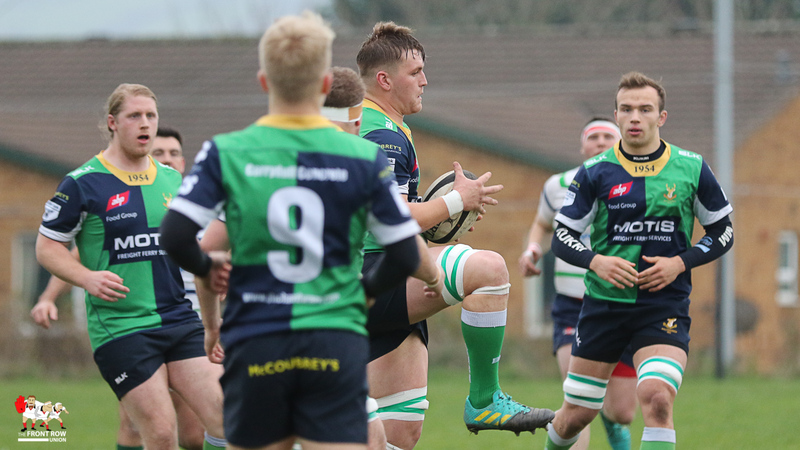 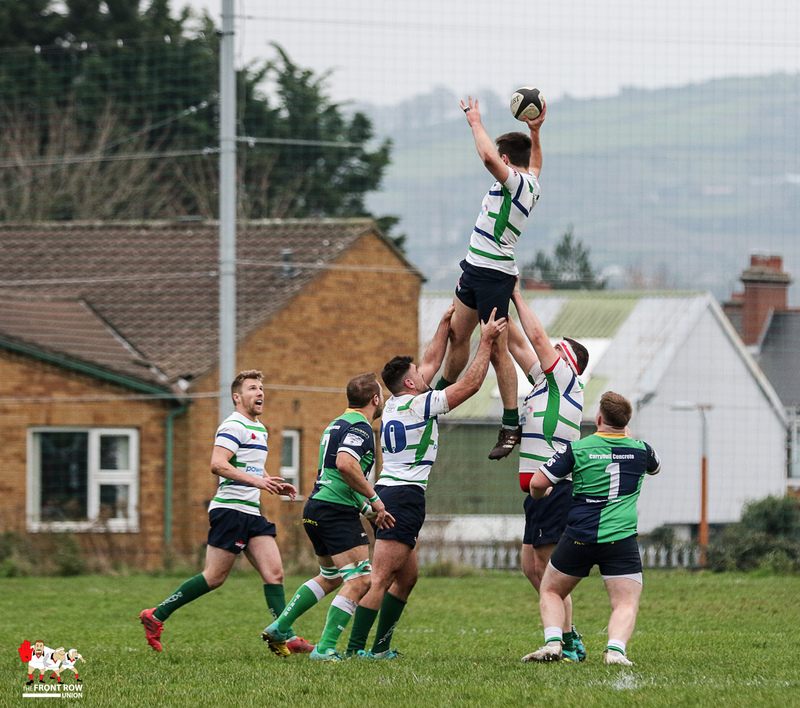 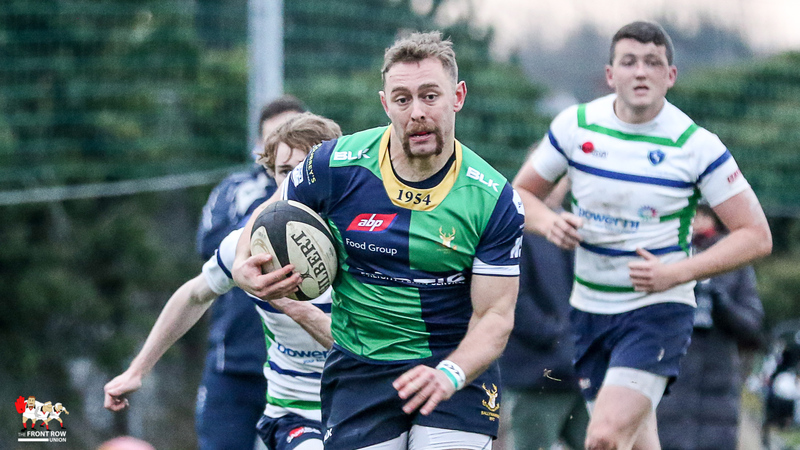 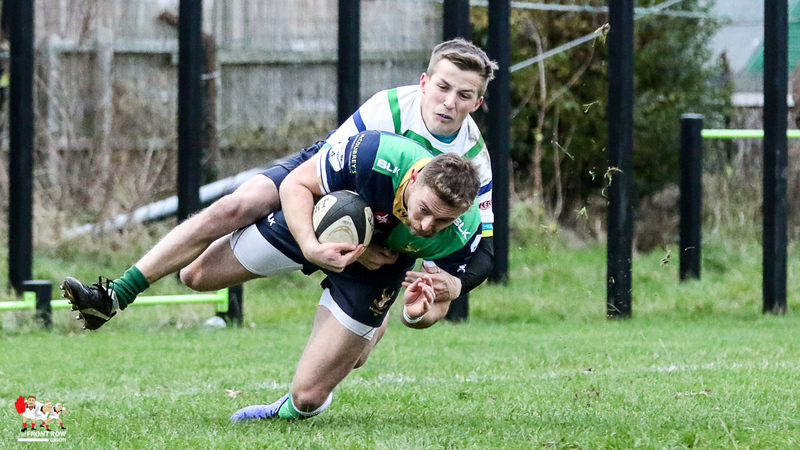 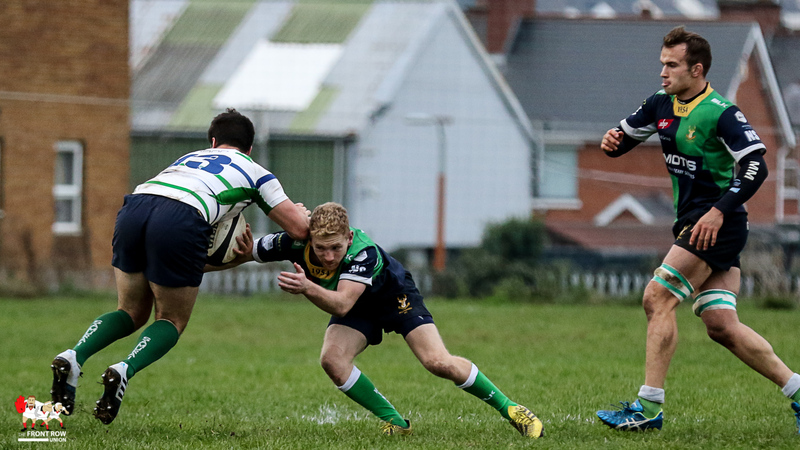 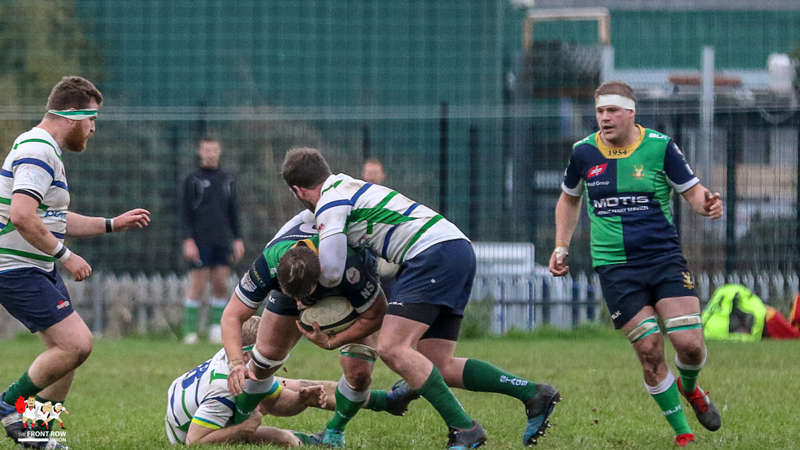 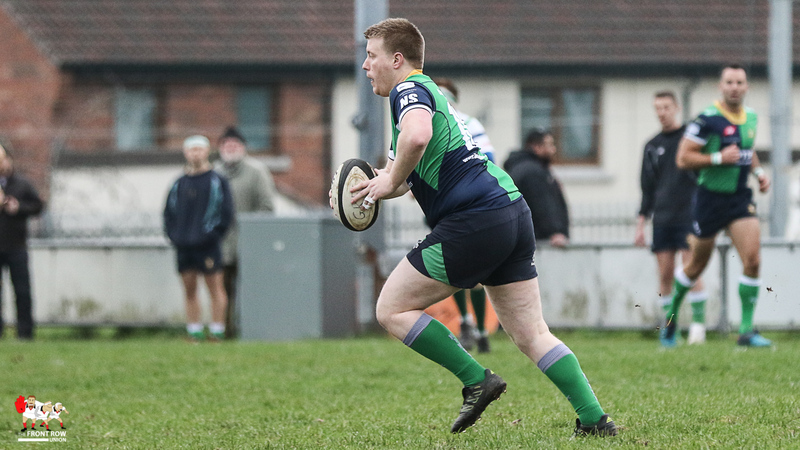 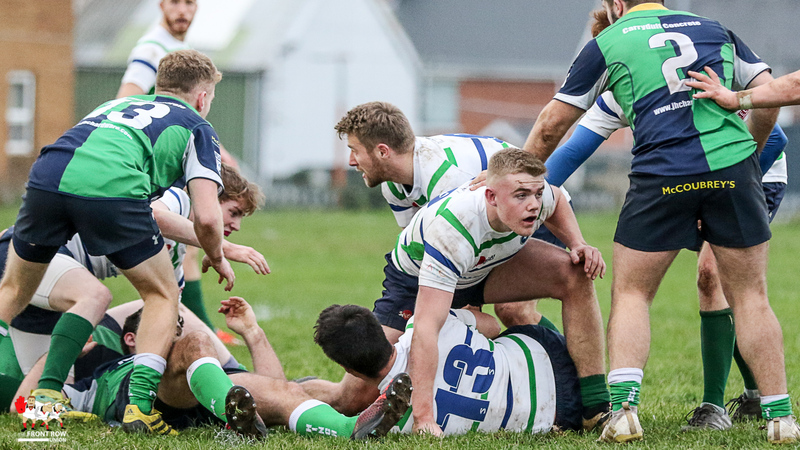 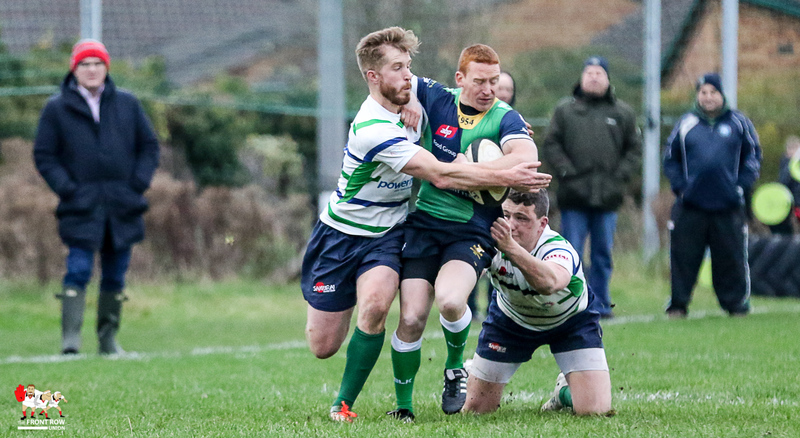 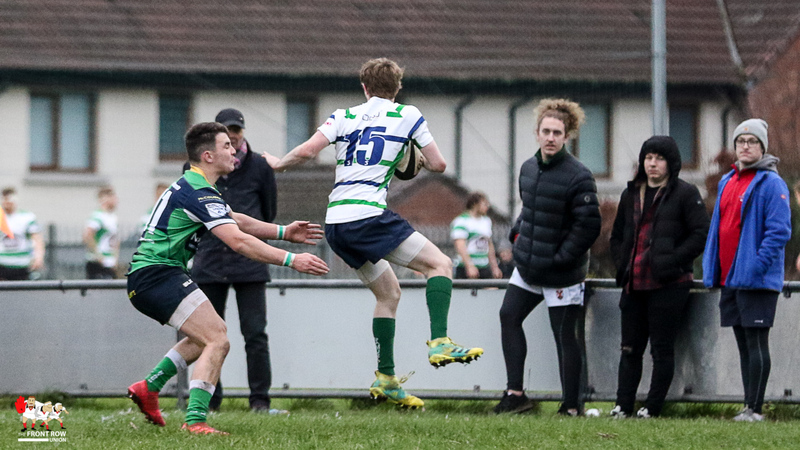 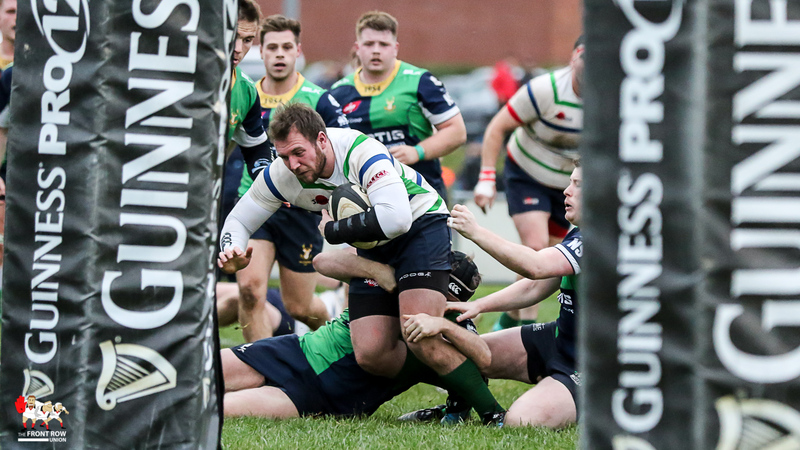 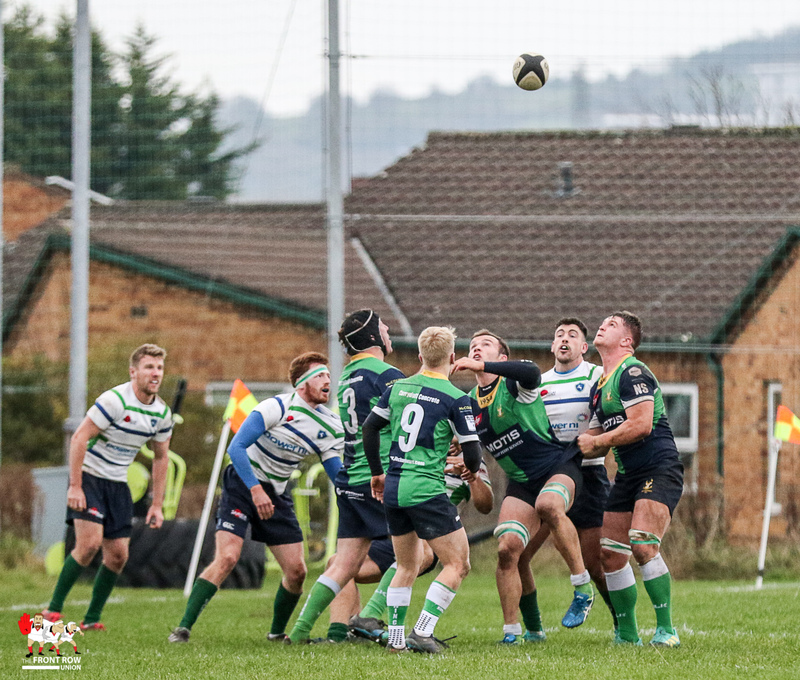 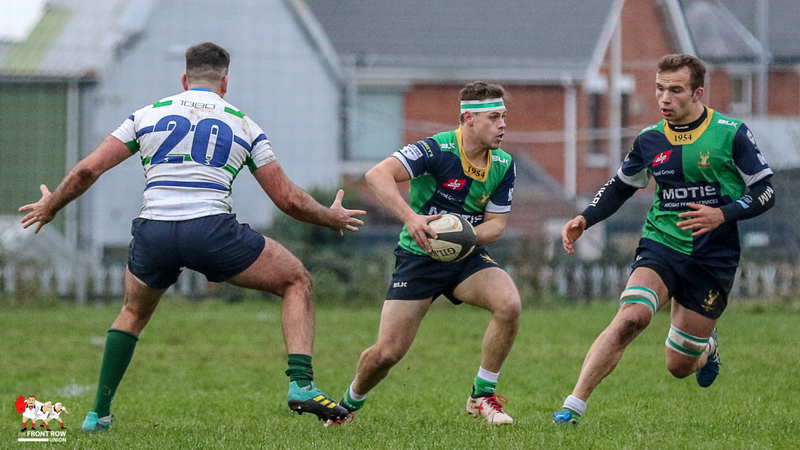 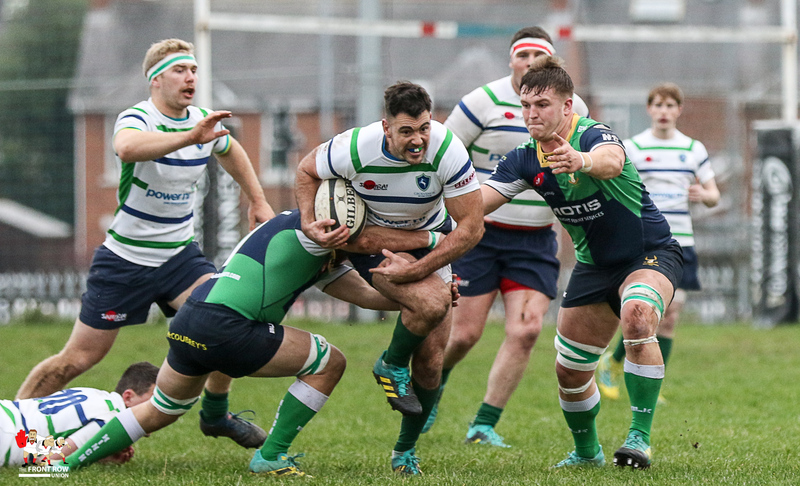 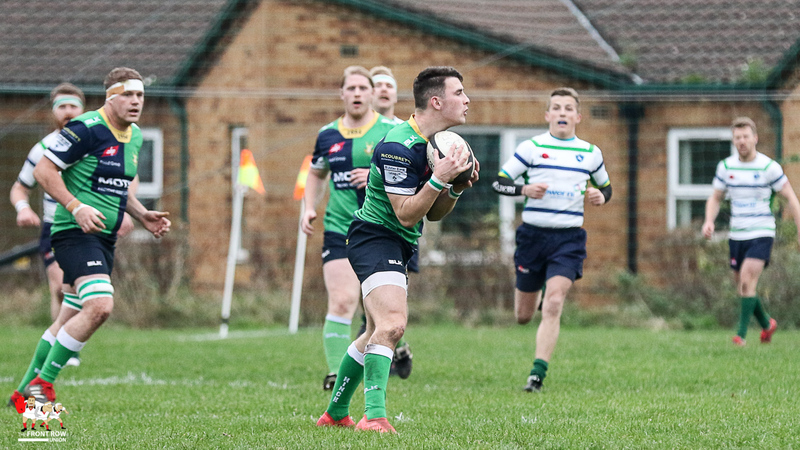 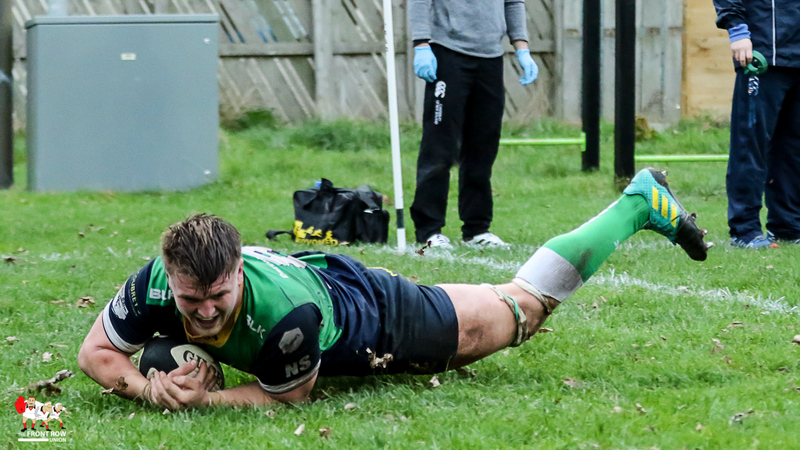 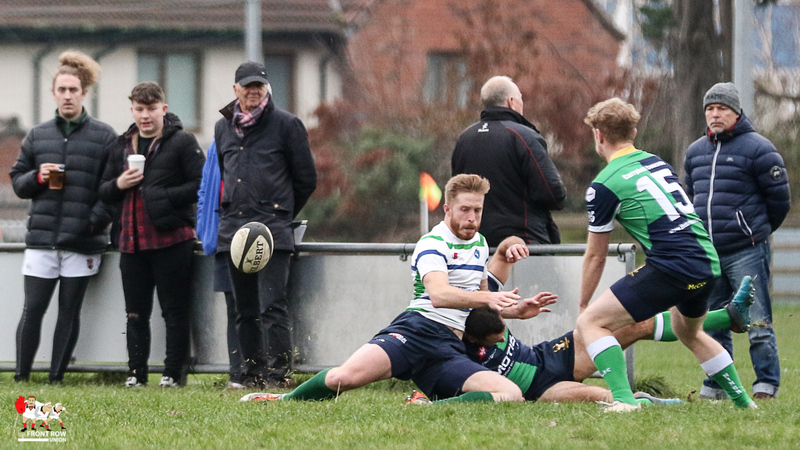 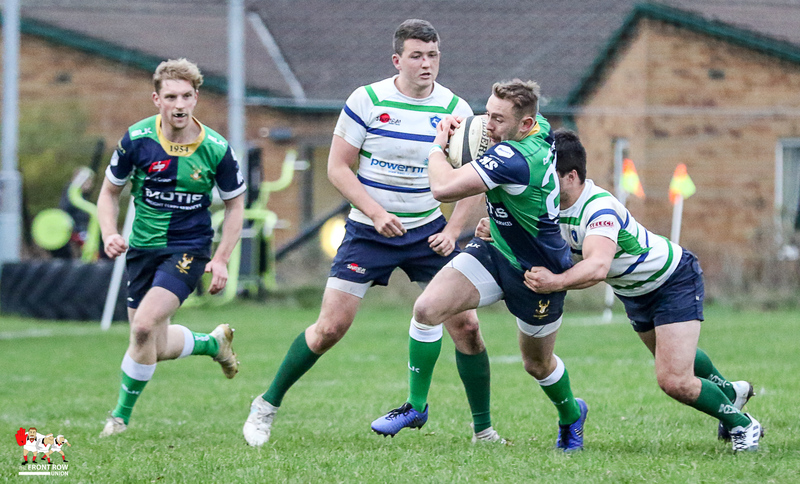 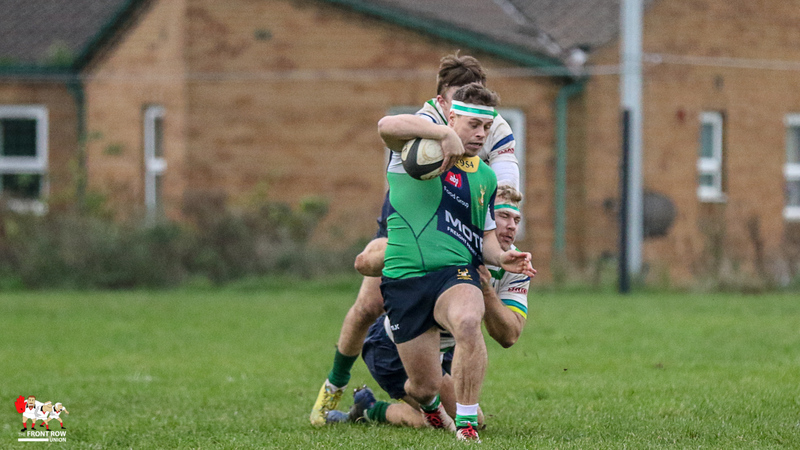 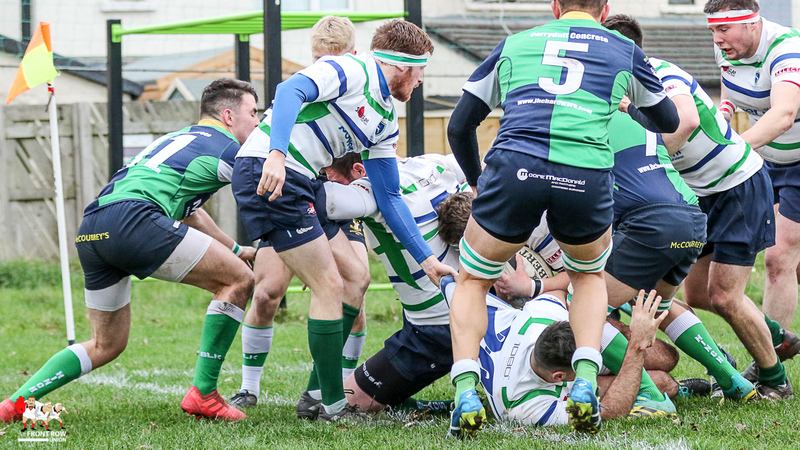 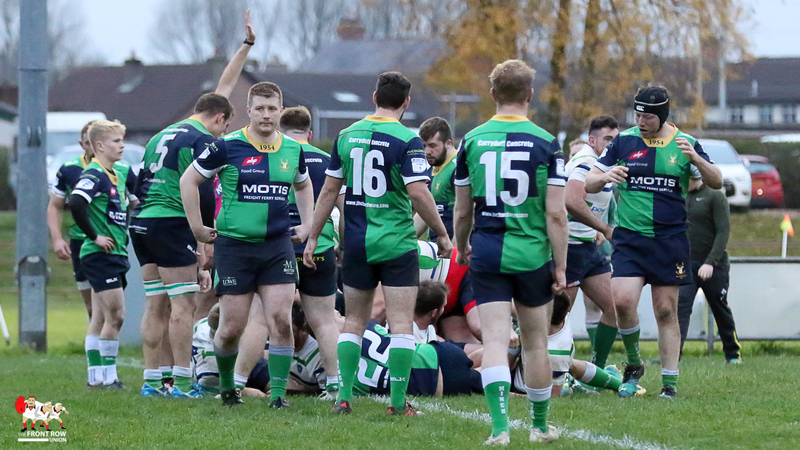 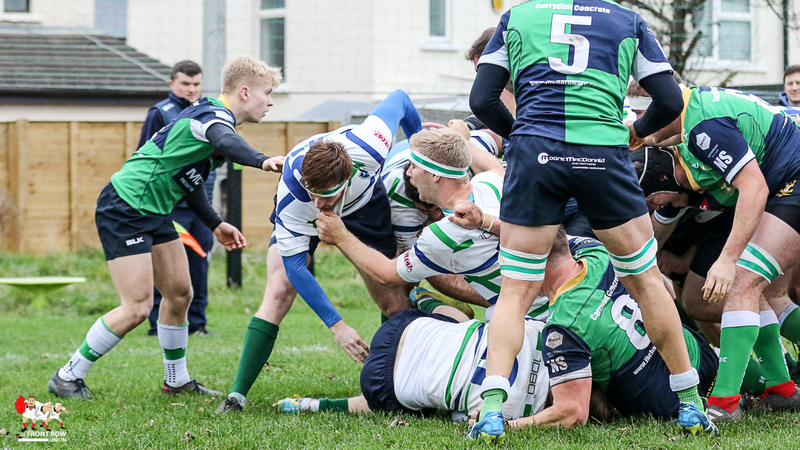 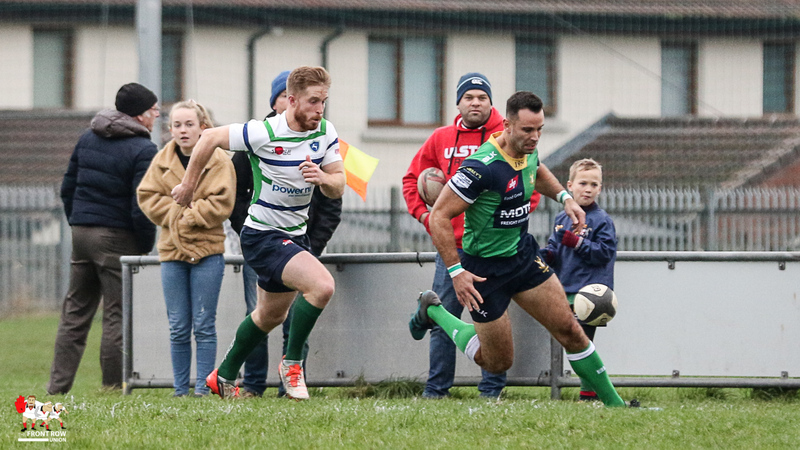 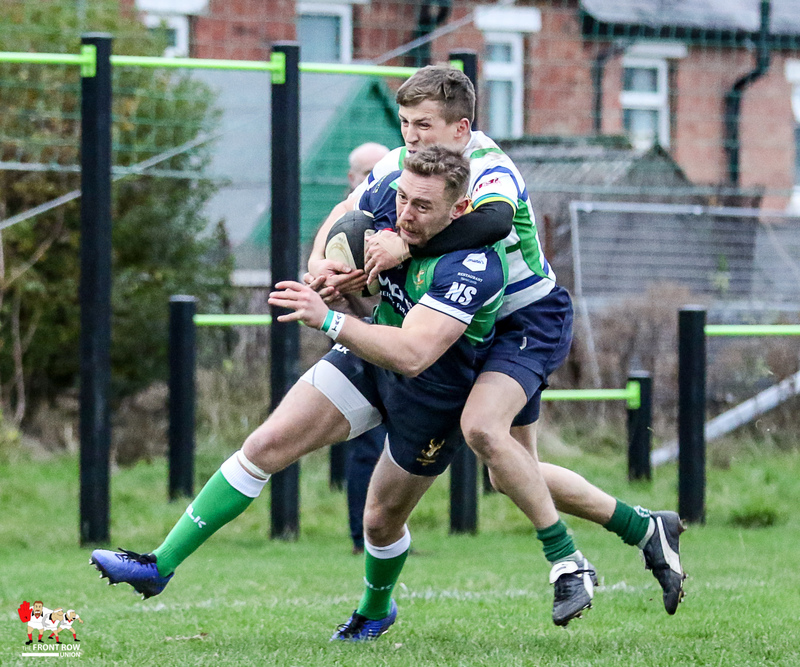 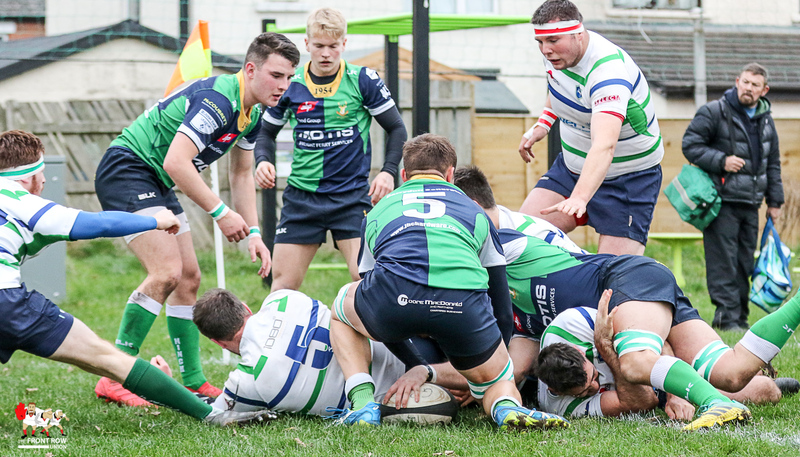 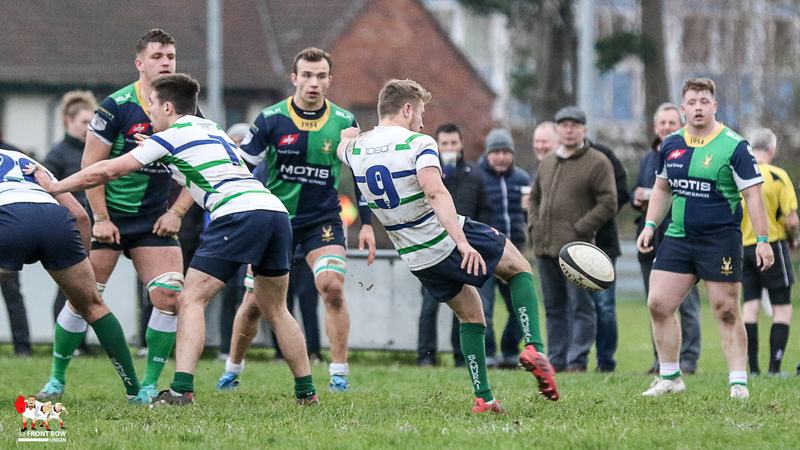 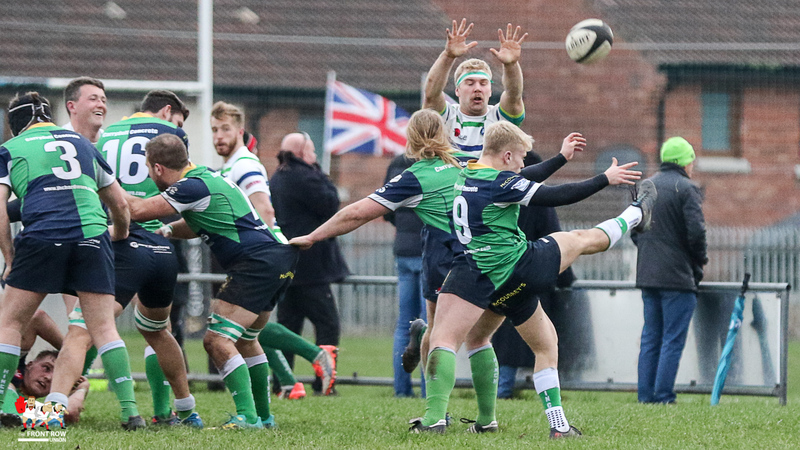 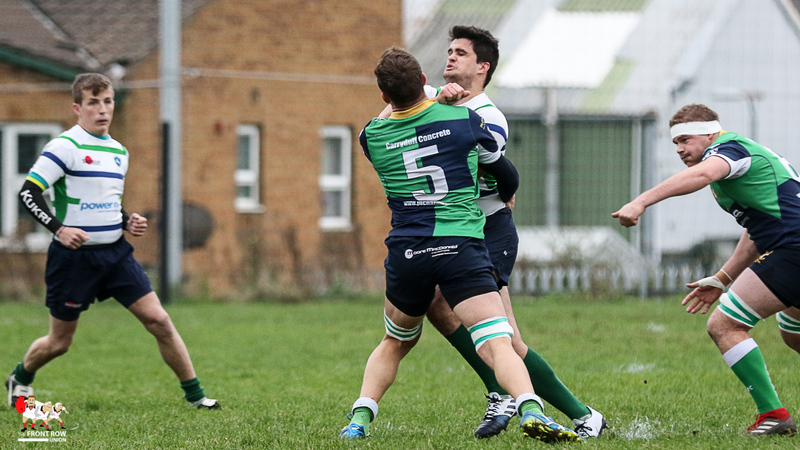 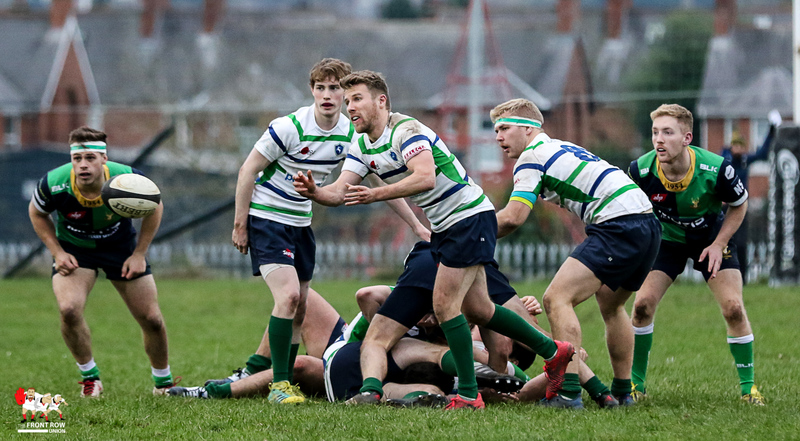 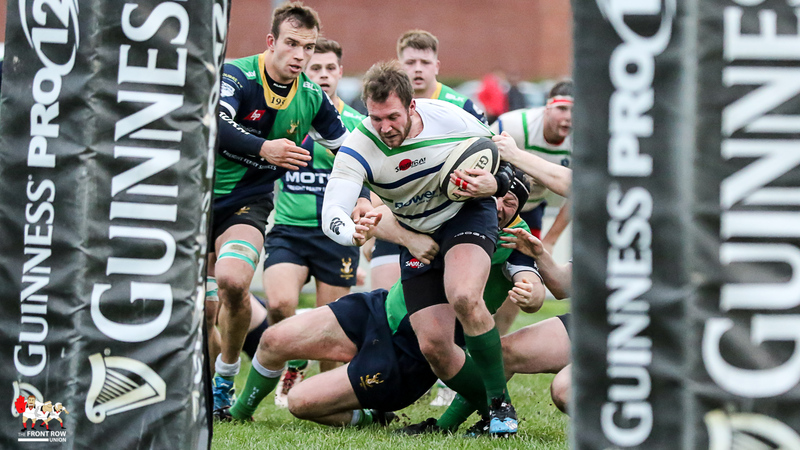 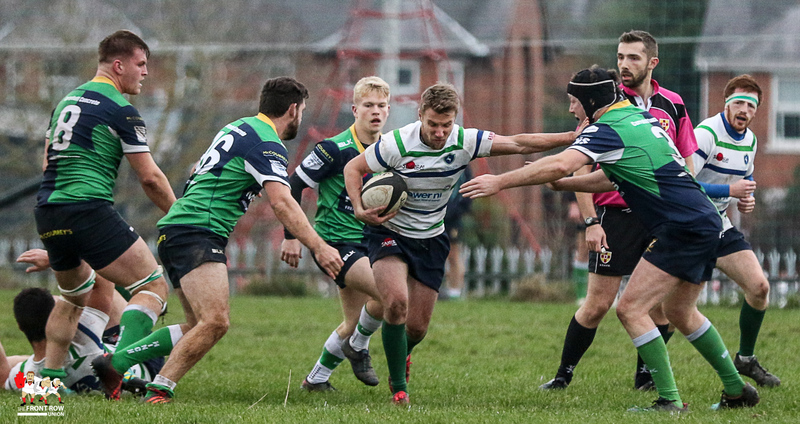 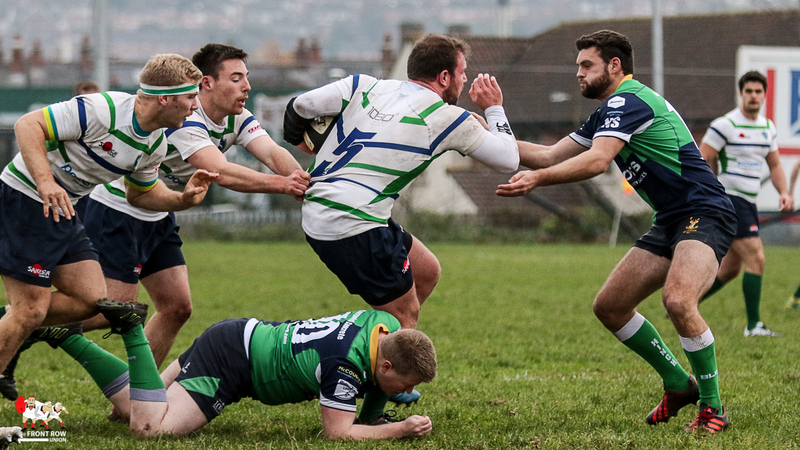 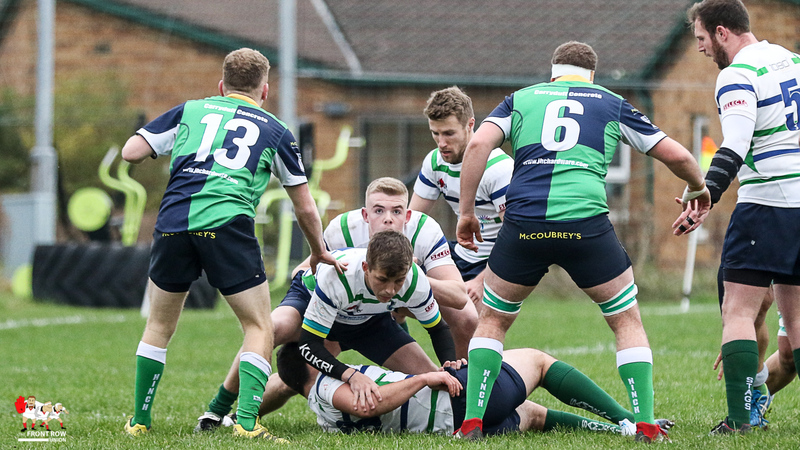 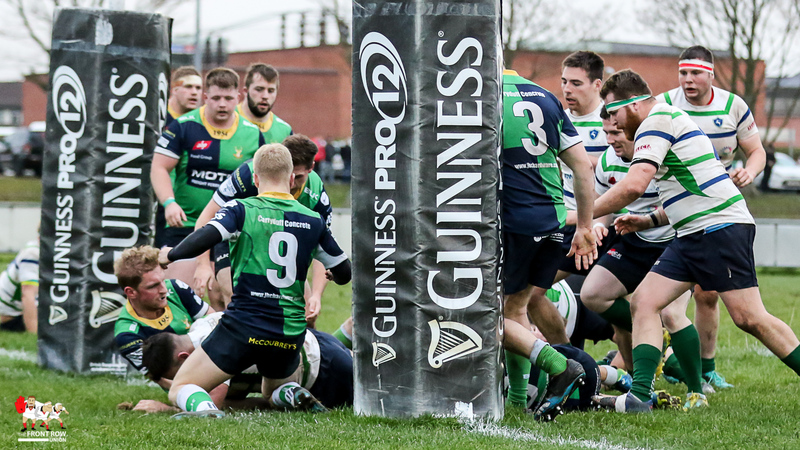 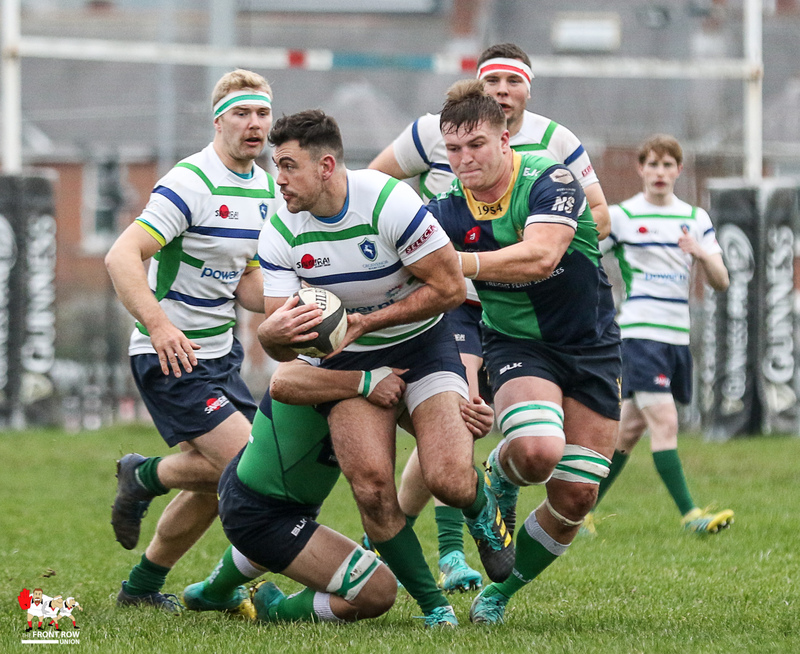 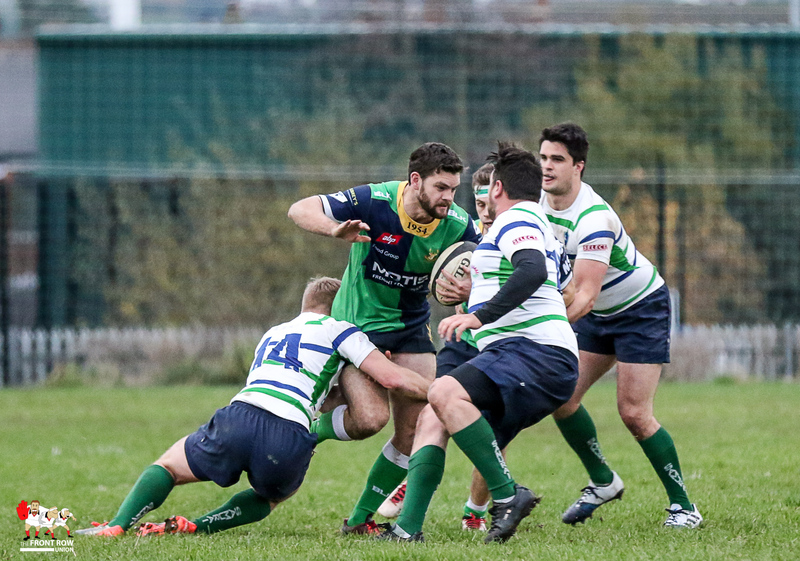 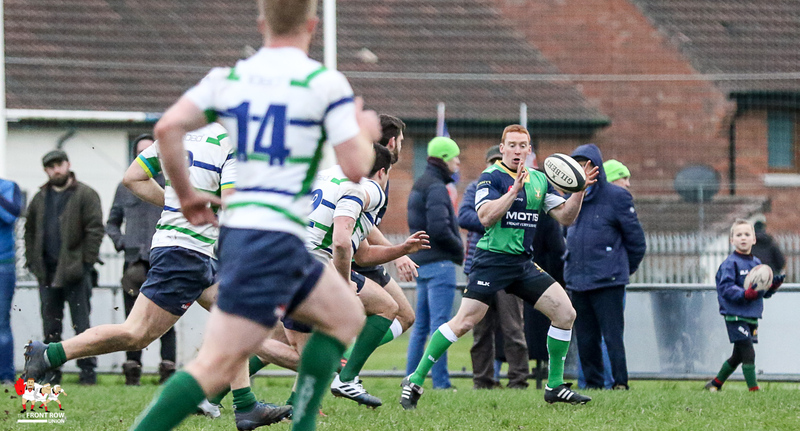 The home side came fighting back and Andrew Kelly crashed over close to the posts leaving an easy conversion for McClugage to take Grosvenor back in front, 21 – 20, with approximately 15 minutes left. 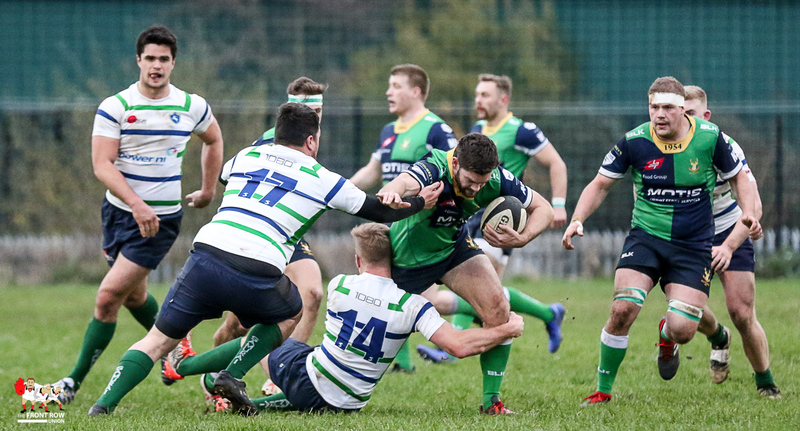 Hinch drew deep on their big match experience and a nice piece of skill from their outhalf, who chipped ahead for Ross Adair to collect and race under the posts, put Hinch back in front by six and a penalty minutes later extended the lead to nine points with six minutes remaining. 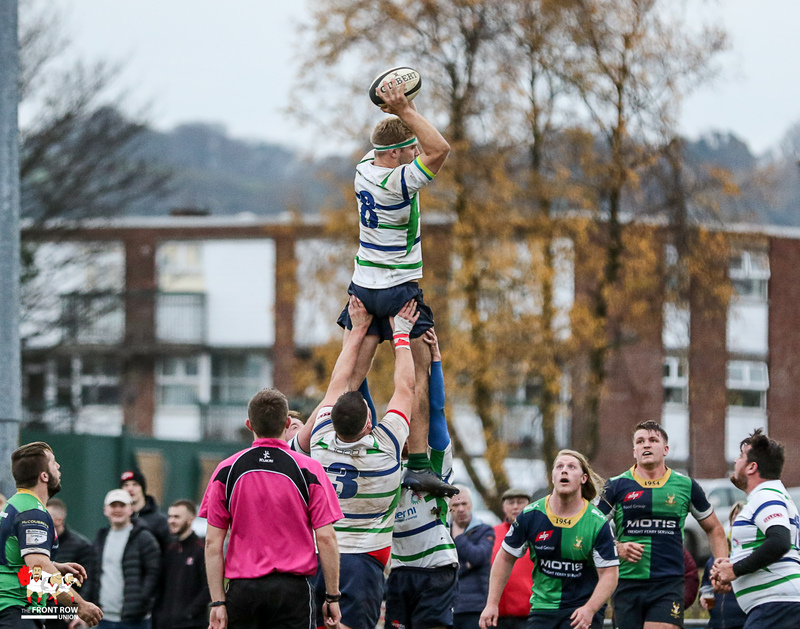 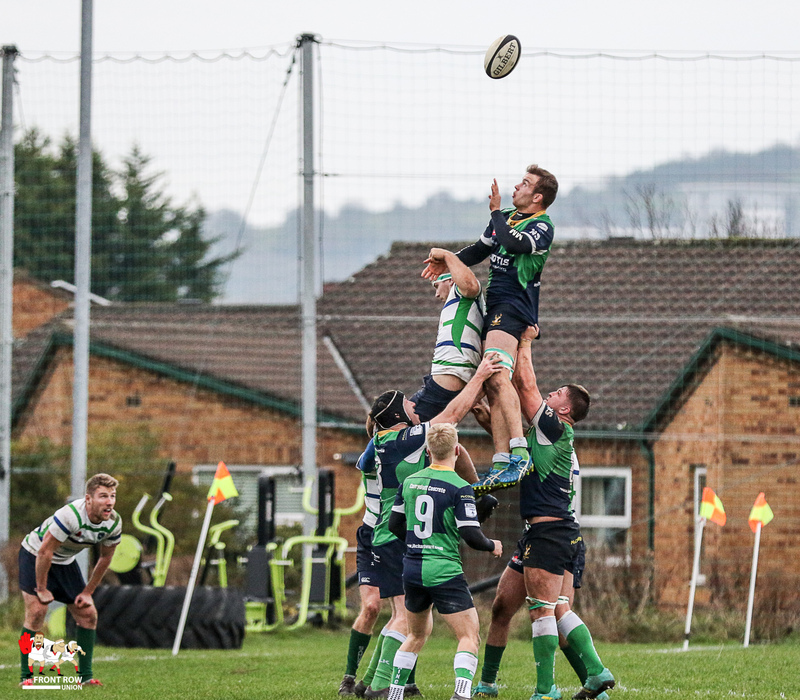 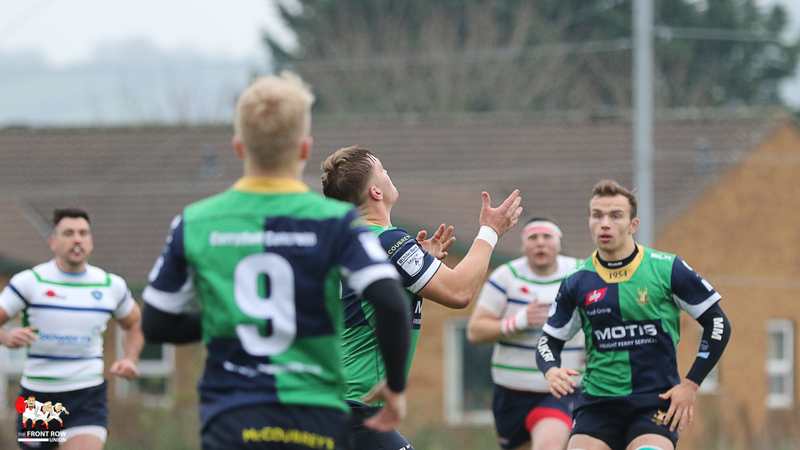 Grosvenor worked their way back down the pitch for Sam Purton to ground the ball off the back of a lineout maul, to pull five points back, but it was too little too late with Hinch holding on to take the 26 – 30 win. 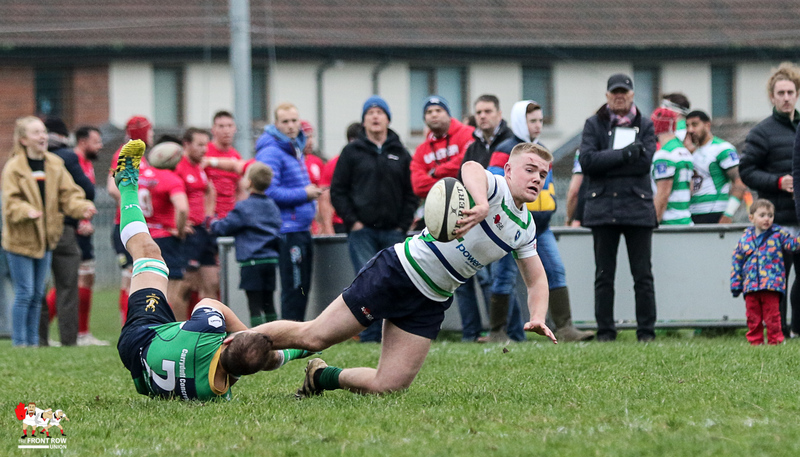 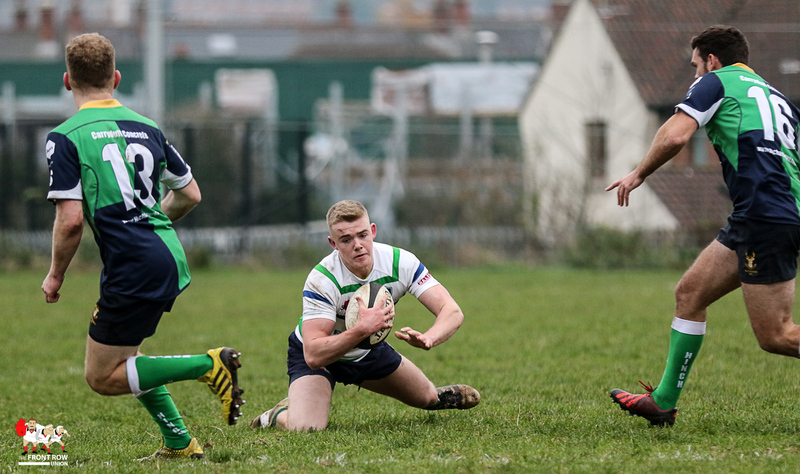 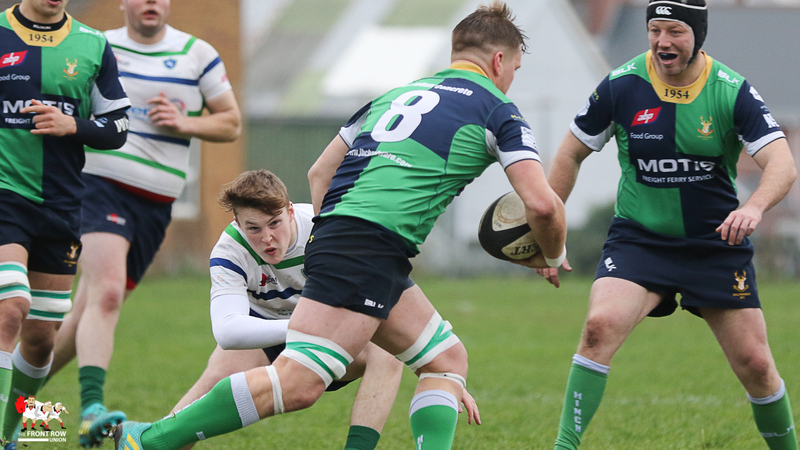 Ballynahinch II will now face Dromore in the final after a 15 – 7 win for Dromore against Malone II.